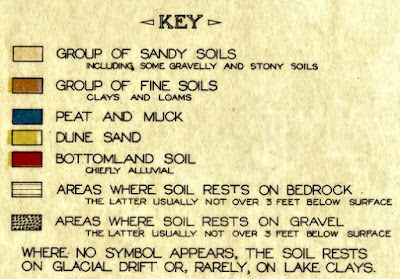 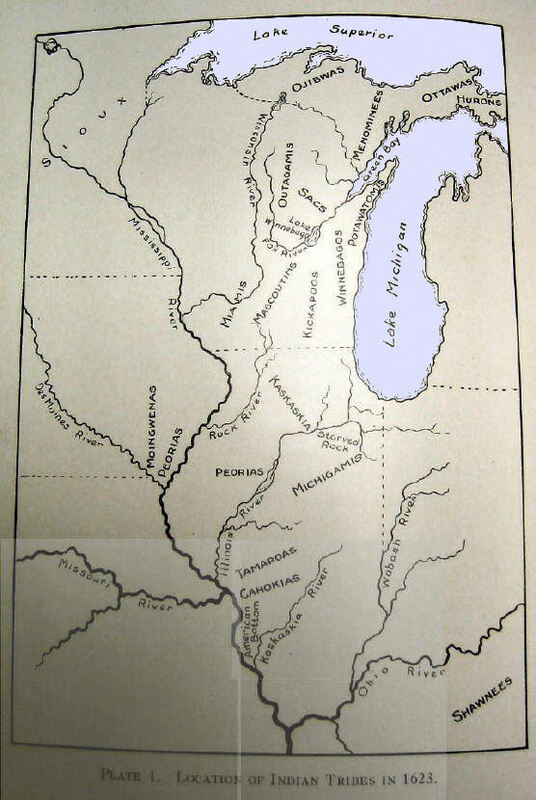 About 14 thousand years ago during the tail end of the last ice age the area of Lake View Township was under water. 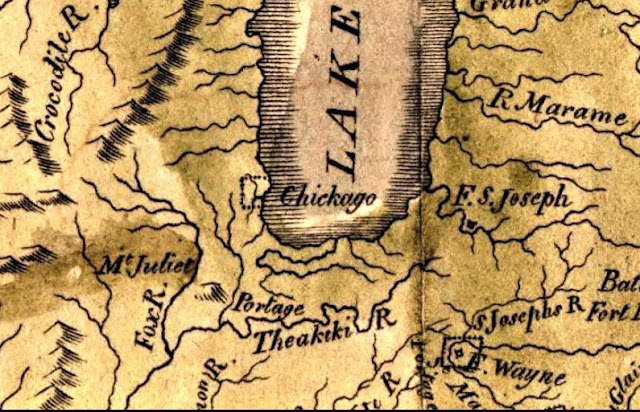 In more recent times, Lake Chicago also known as the Glacial Lake Chicago; term used by geologists for a lake that preceded Lake Michigan; was formed when the Wisconsin glacier retreated from the Chicago area, beginning about 14,000 years ago. 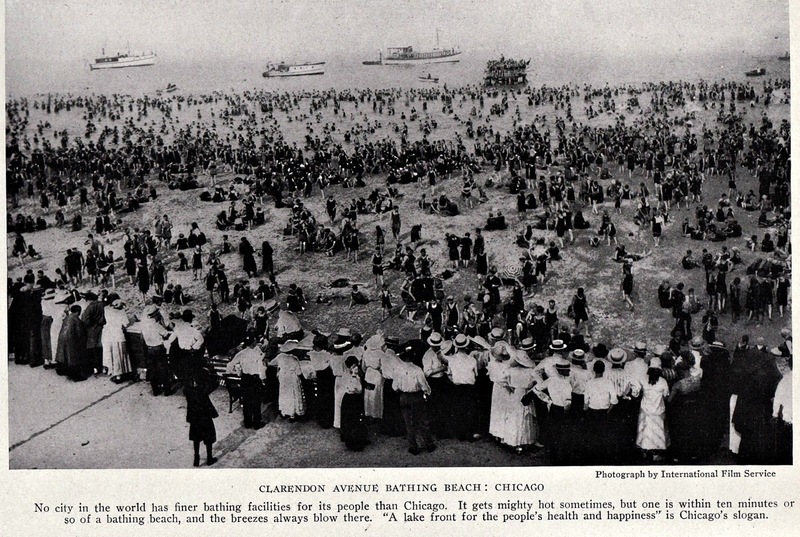 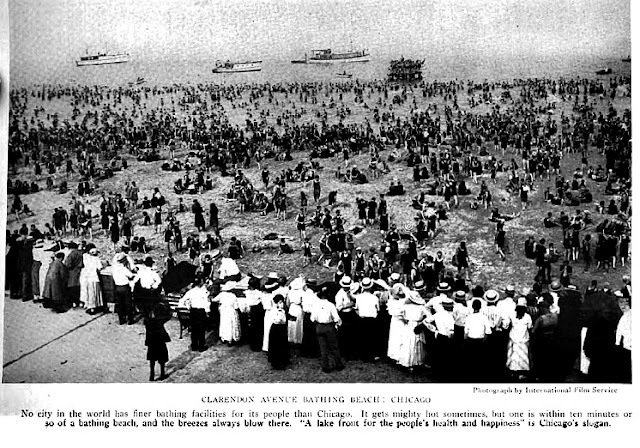 Lake Chicago`s level, at its highest, was almost 60 feet higher than the level of present Lake Michigan and the lake completely covered the area now occupied by Chicago. 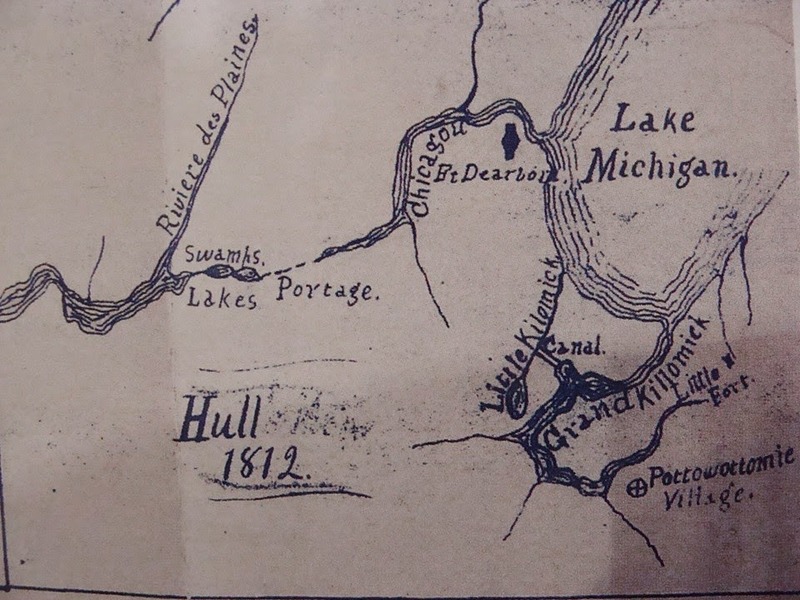 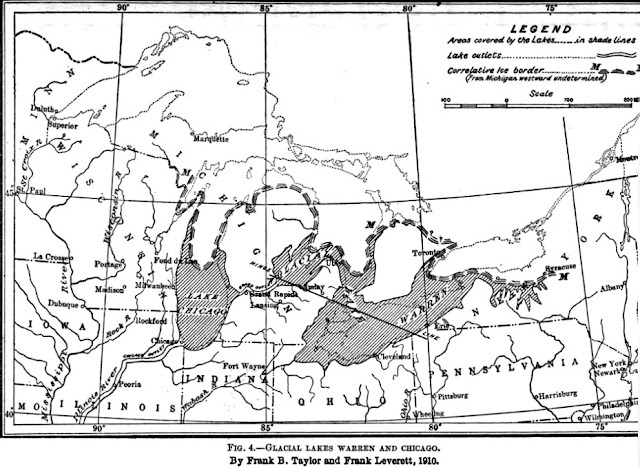 Its northern outlet into the St. Lawrence River was still blocked by remnants of the glacier and it drained through the so-called Chicago outlet, a notch in the Valparaiso moraine, into the Mississippi system. Its western shores reached to where Oak Park and La Grange now exist. 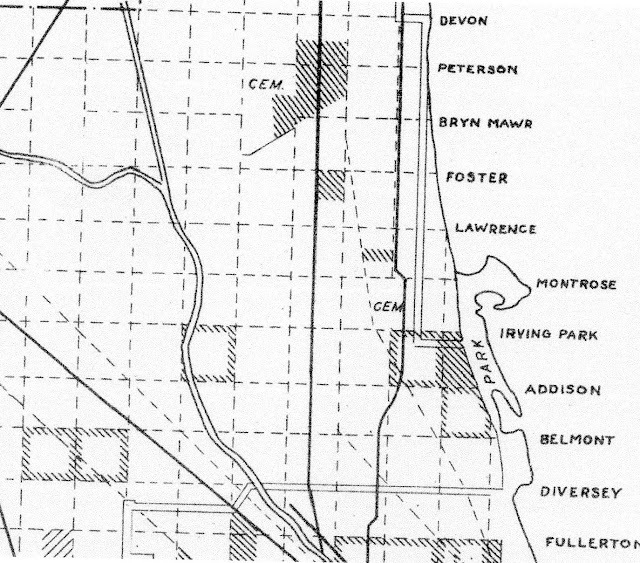 As the glacier shrank in stages, the major three of which are often referred to as the Glenwood phase (50 feet above the level of Lake Michigan; c.12,000 years ago), the Calumet phase (35 feet; c.10,000 years ago), and the Tolleston phase (20 feet; less than 8,000 years ago); each left behind many sandy beach ridges. 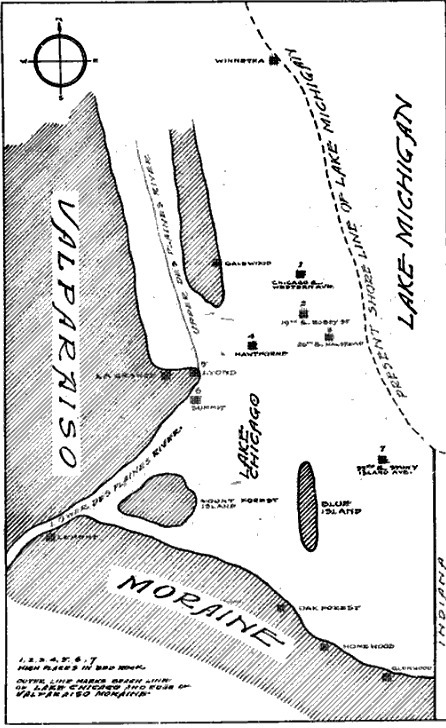 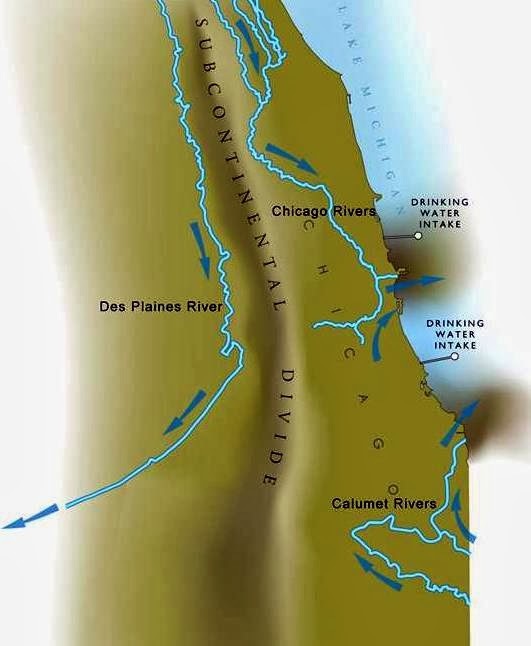 The lake`s southern shores were dammed by the hills of the Tinley-Valparaiso terminal moraine systems; as the glacier retreated farther and cleared the northern outlet, the lake level fell further and Lake Chicago would later be renamed Lake Michigan. 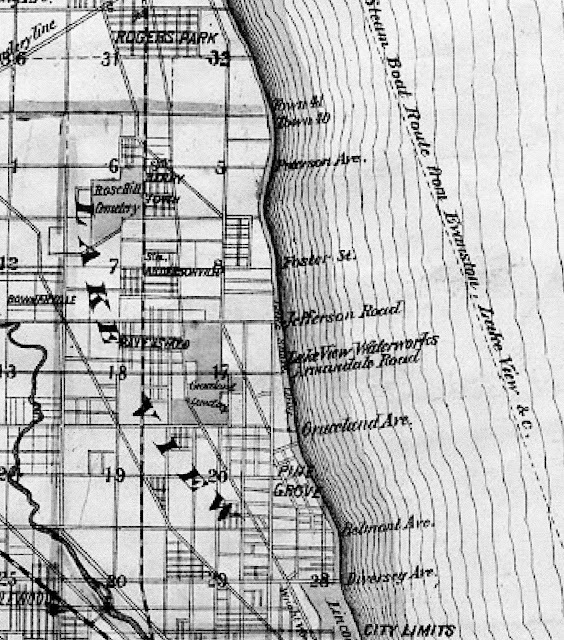 Note: View my Facebook album about the original shoreline prior to 1894 along the old Lake View in Lake View Historical in Facebook. 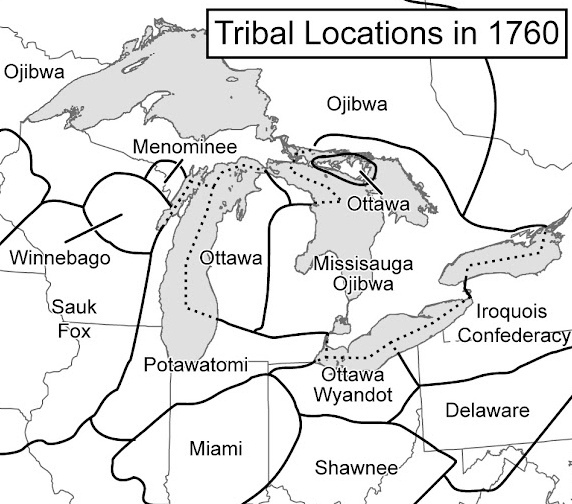 Tribes were more nomadic so did not have the tradition border locations like the European settlers would have preferred. 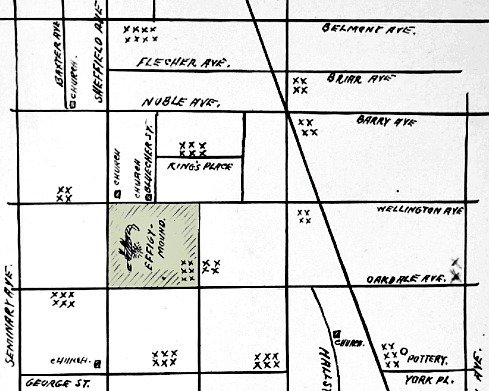 In 2013 artifacts were discovered within the City of Chicago in the neighborhood of Bowmanville. 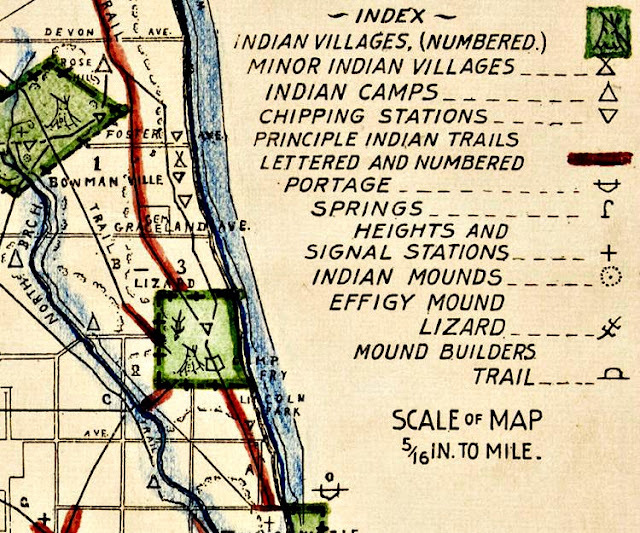 indicate direction or some sort of sign language. 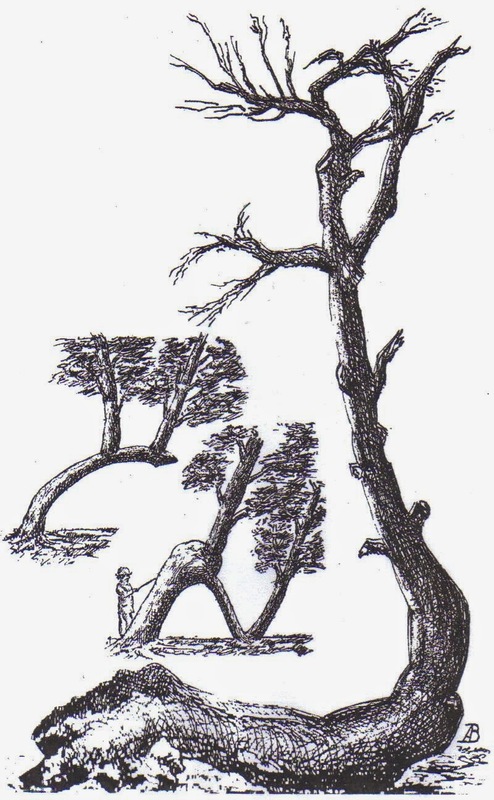 Settlers simply called them 'Indian Tree'. 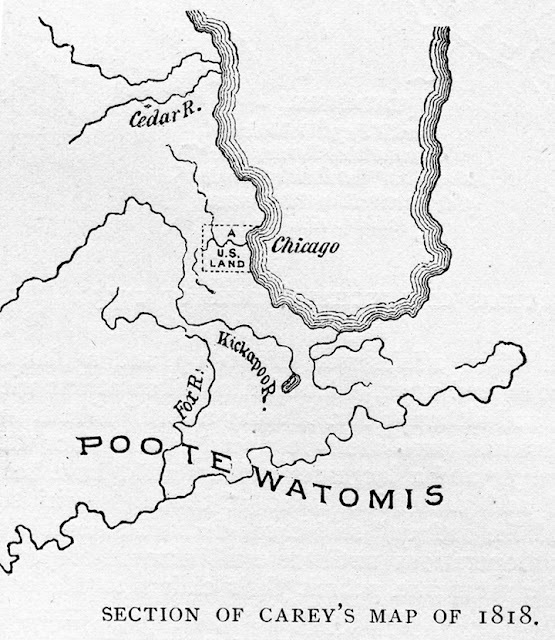 The Native American burial mound apparently was once located between Oakdale & Wellington east of Sheffield. Early settlers destroyed hundreds if not thousands of ancient sculptures, along with the historical record. They plowed under mounds to farm the land or leveled them and built homes on the sites. 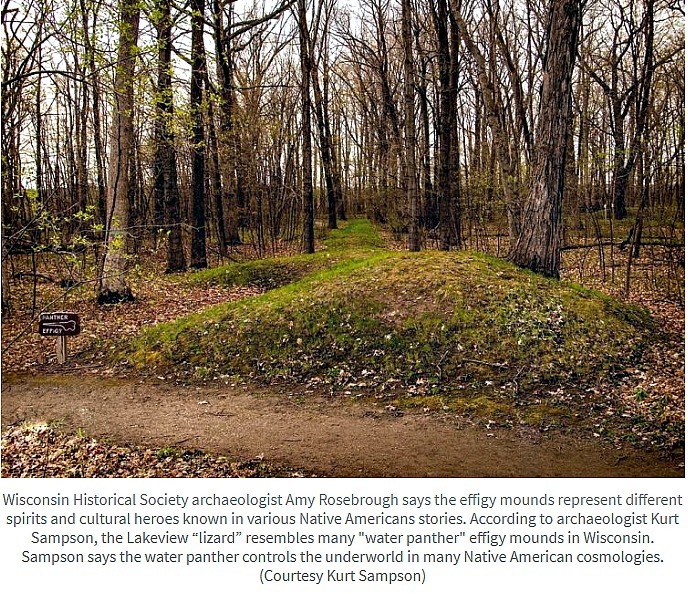 In some cases, early settlers claimed to have asked local Native Americans about the origins of the mounds without receiving a clear answer. 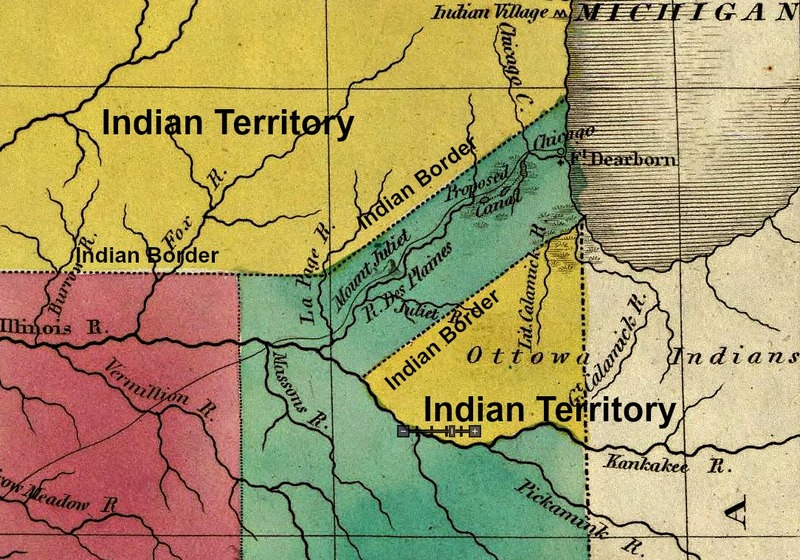 John Low, a Potawatomi Indian and professor of American Indian studies, says he’s suspicious of these accounts given that they took place during a power struggle over land. “[The Natives] may have said that because they aren’t going to share with people, [who] they regard as the enemy, the special-ness they know about a site.” Read more from the above link. 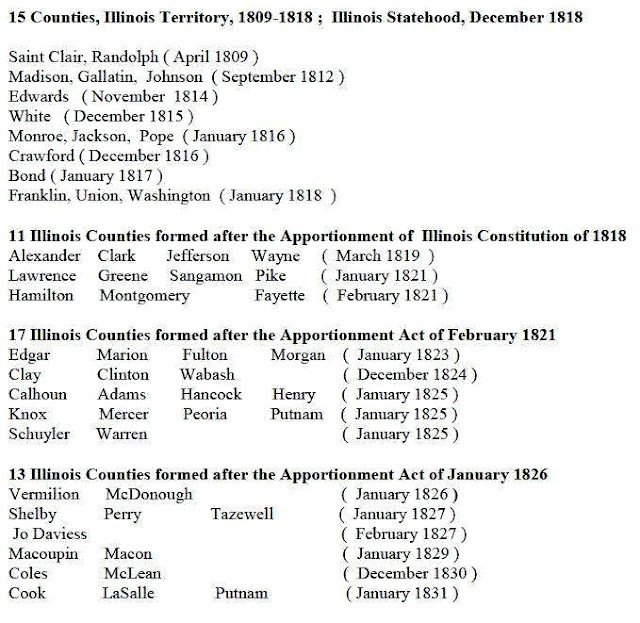 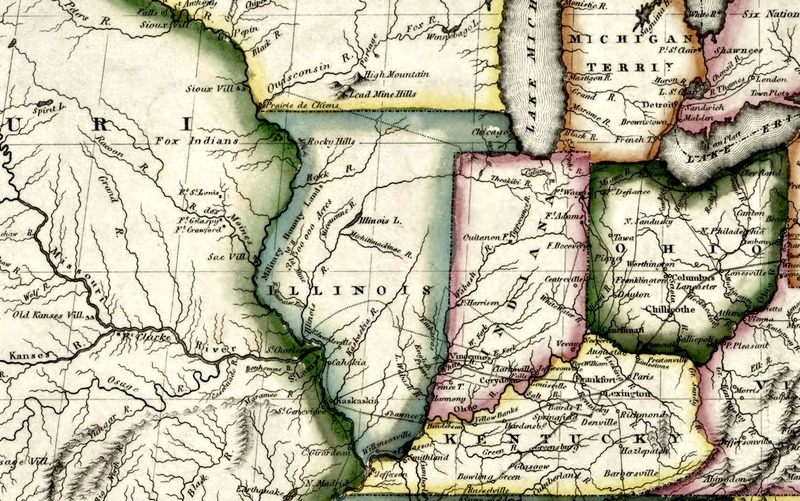 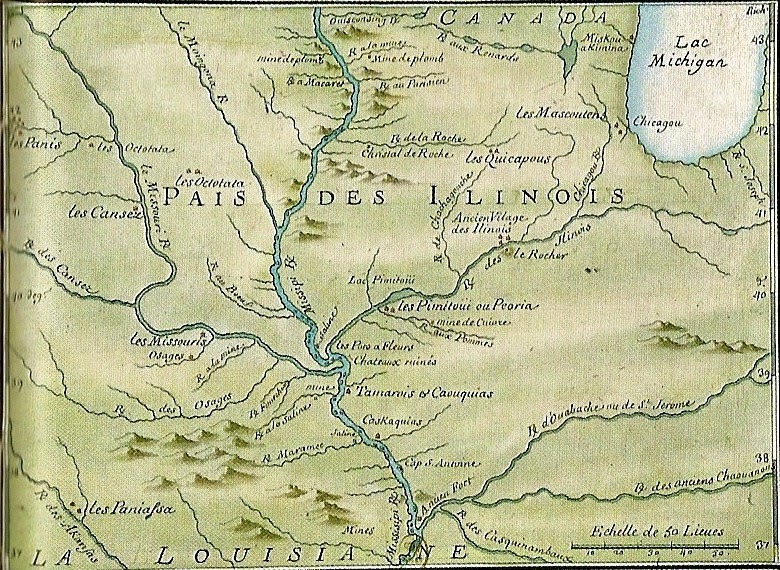 The area that we currently call the State of Illinois was once governed by France and called Pais Des Illinois. 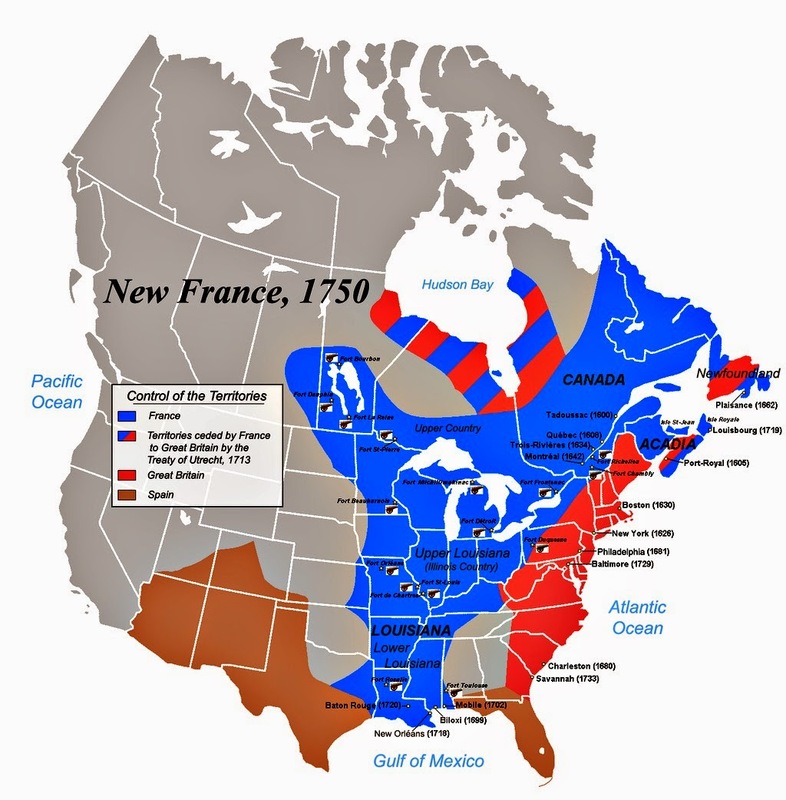 This territory was referred to as New France by the late 17th century to 1763. 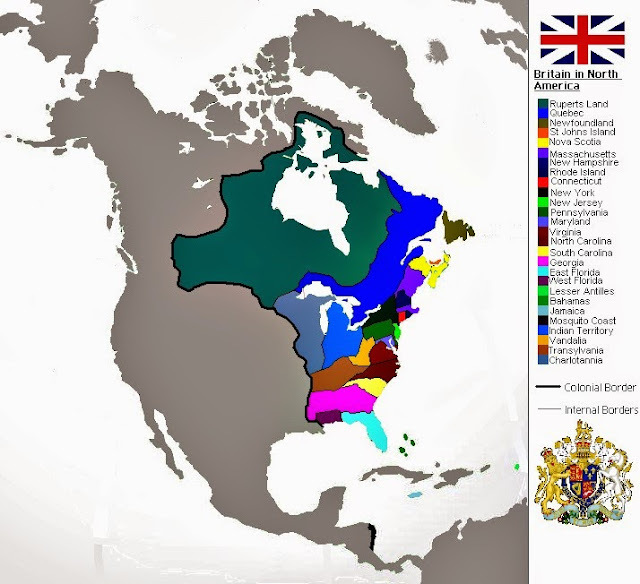 The Treaty of Paris of 1763 allowed the British Empire French territory east of the Mississippi River and similarly allowed New France to exist west of the river until 1803.
arrived in the 1600's. 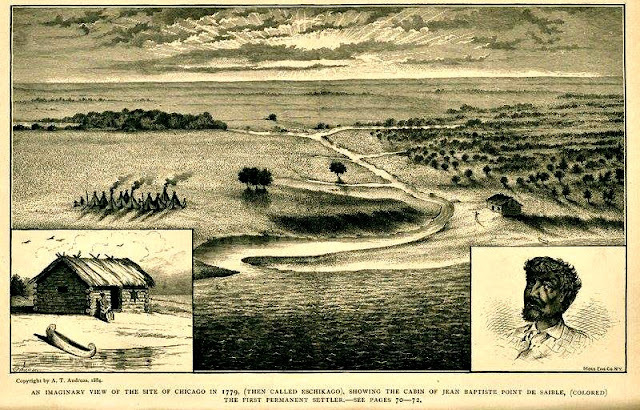 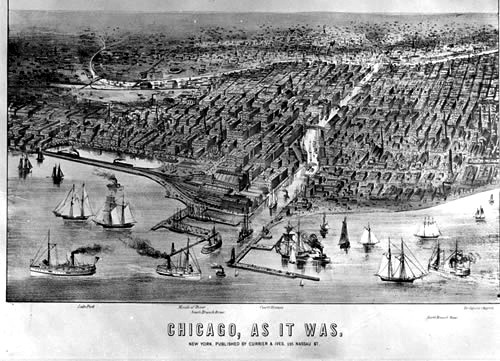 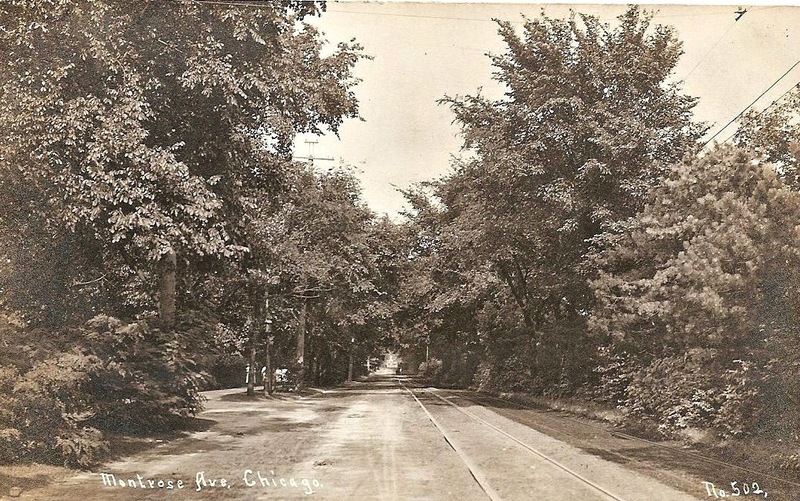 The area just north of the existing City of Chicago was described at the time as "a waste of sand and scrub oaks" bordering along the lakefront. 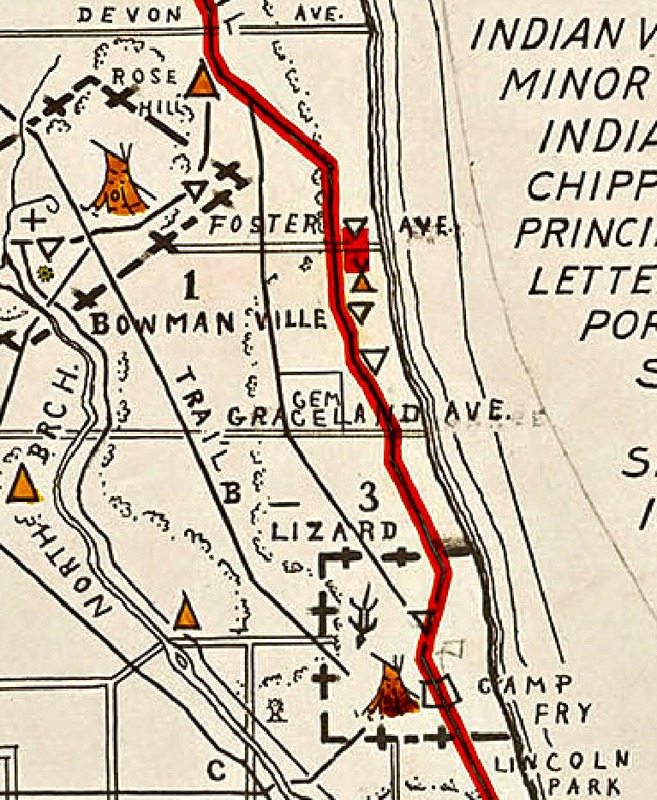 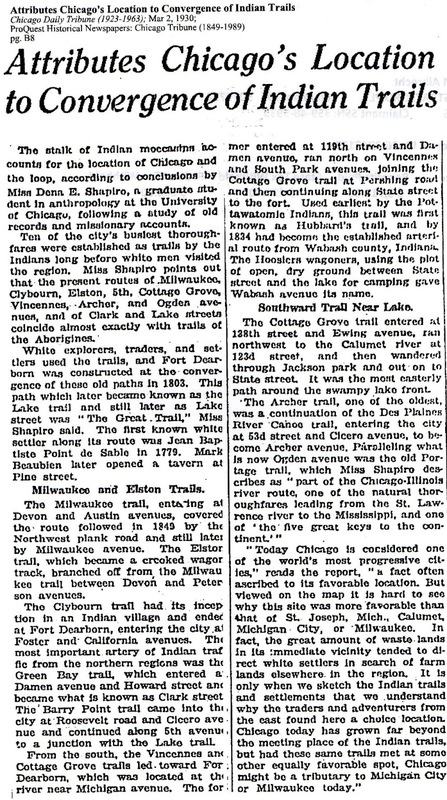 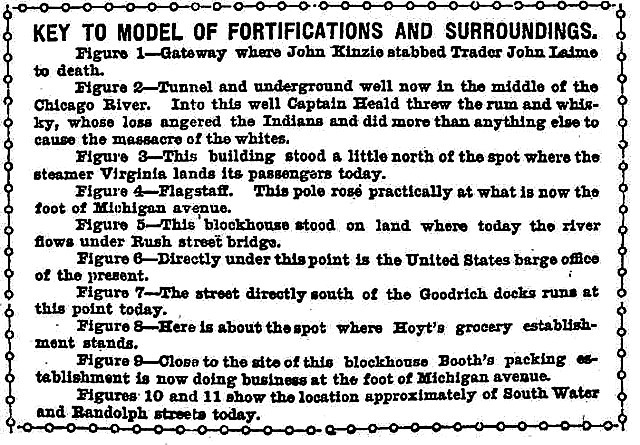 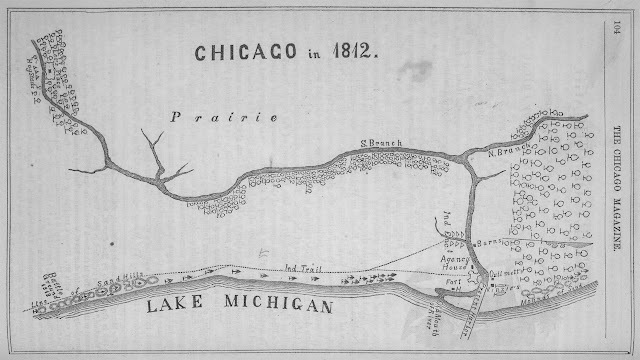 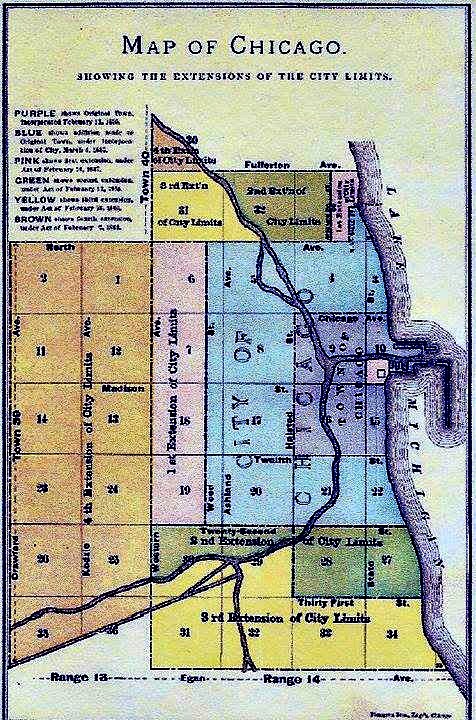 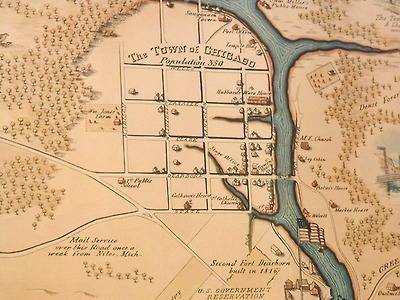 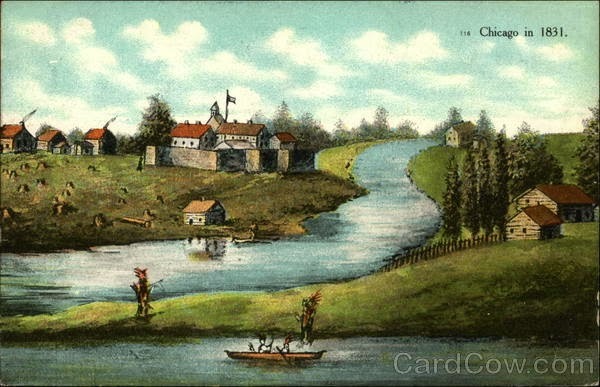 Before the European settlements were established Chicago there was a Potawatomi village apparently located in the general area of Fullerton, Lincoln, and Clark Streets as late as the first quarter of the 19th century. 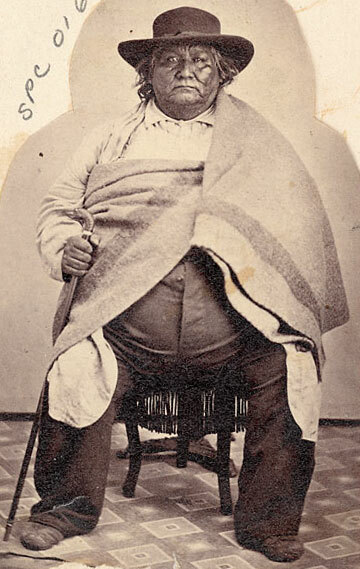 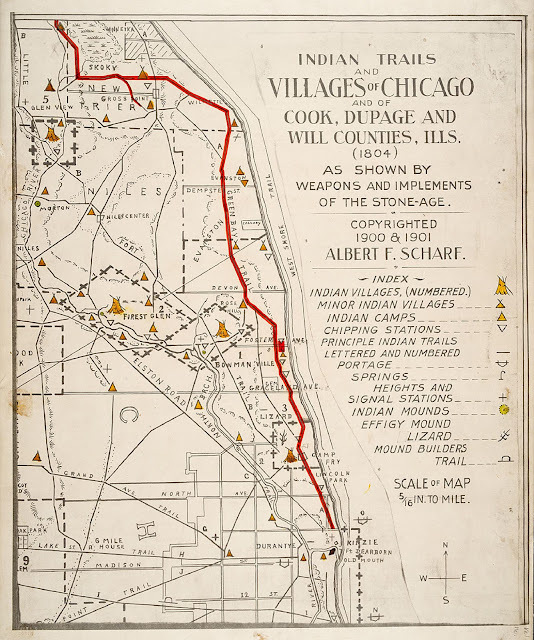 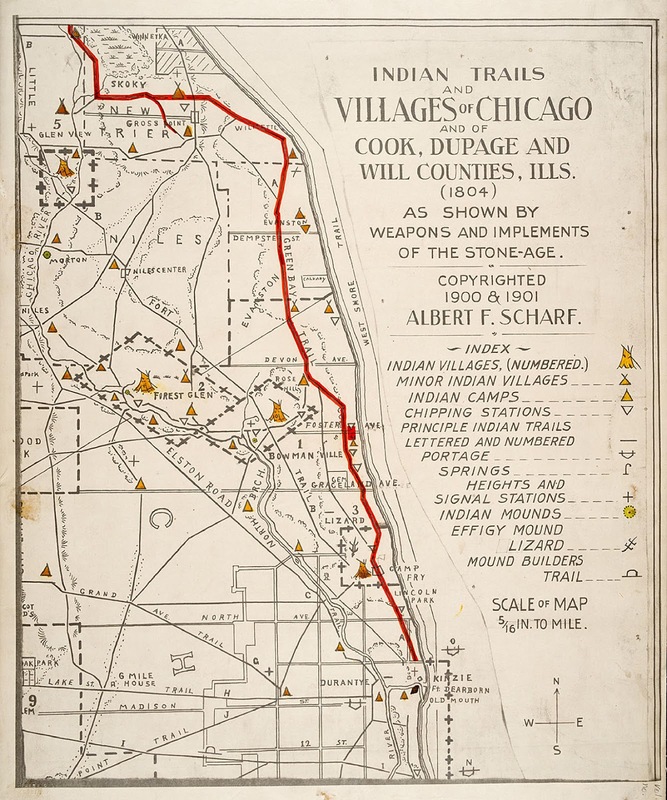 By the first quarter of the 19th century a physical separation and border had been established between the Native American population and the Europeans that existed in the Chicagoland area. 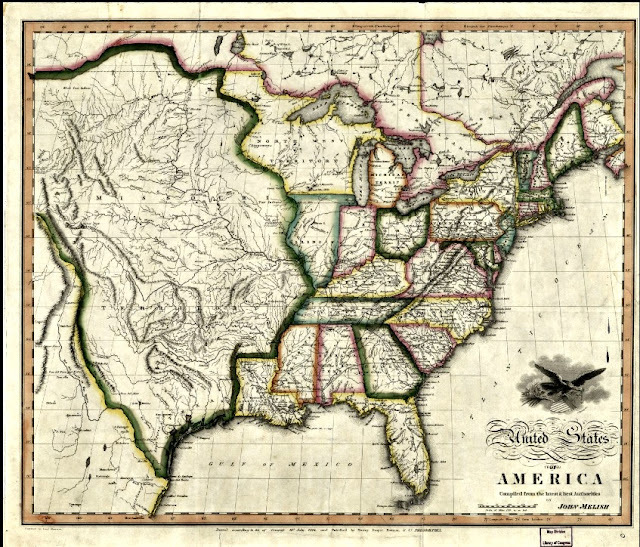 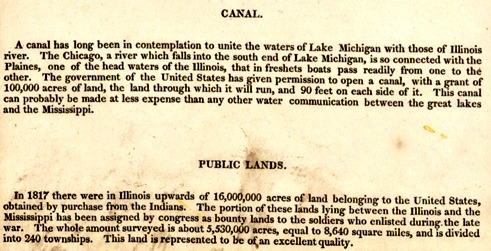 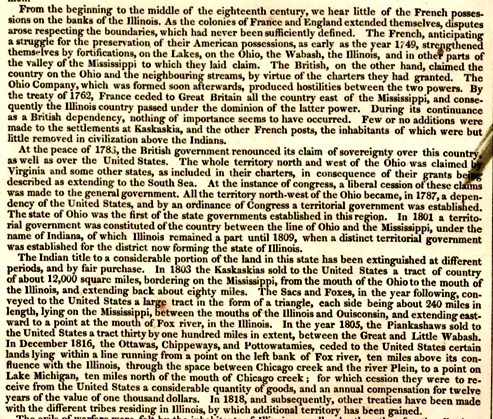 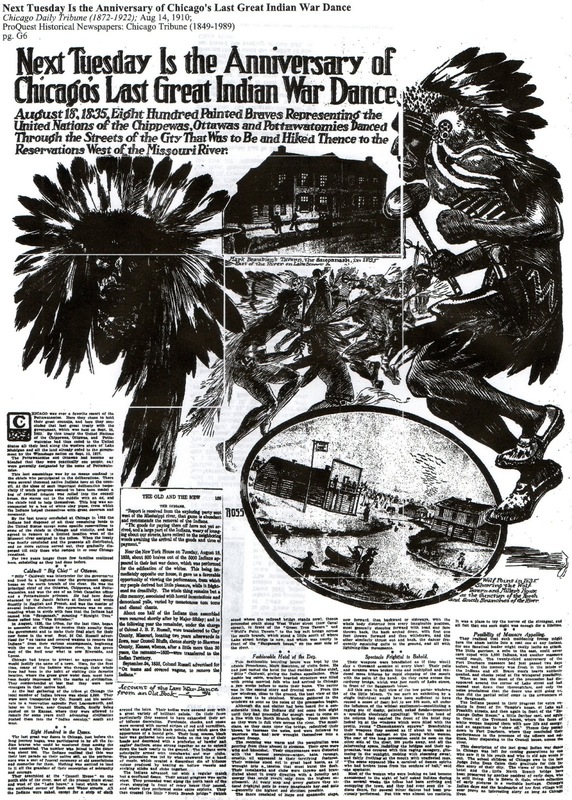 The 1833 Treaty of Chicago, which concluded the Blackhawk War, forced the Potawatomi to sell all remaining tribal lands (outside those given in land grants) that forced the removal of all Indians from State of Illinois. With the Potawatomi gone the settlers from the East moved in greater numbers. 1933 Century of Progress Exposition showing an unnamed Native American, the Kinzie house, Fort Dearborn, and the dunes at the lake shore in the horizon. 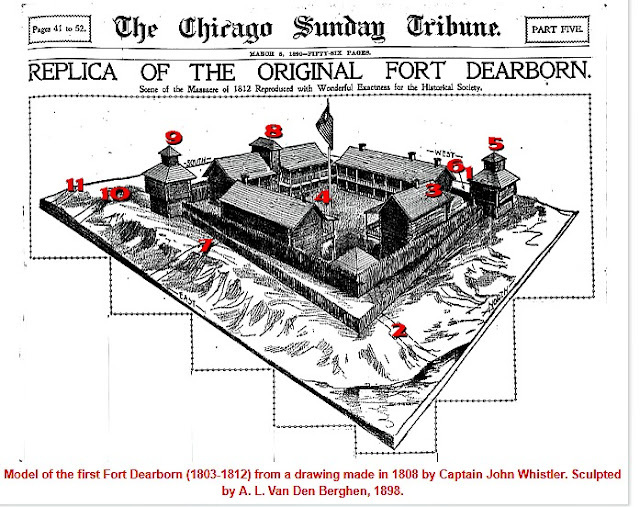 Read more about the fort's history! 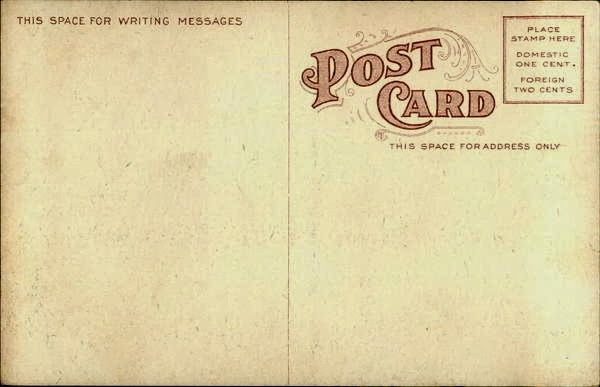 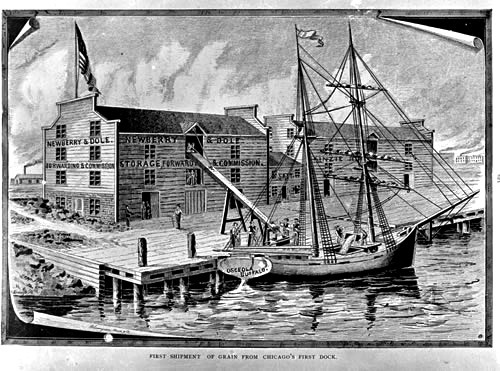 This hand drawn was created by the Commander of Fort Dearborn. 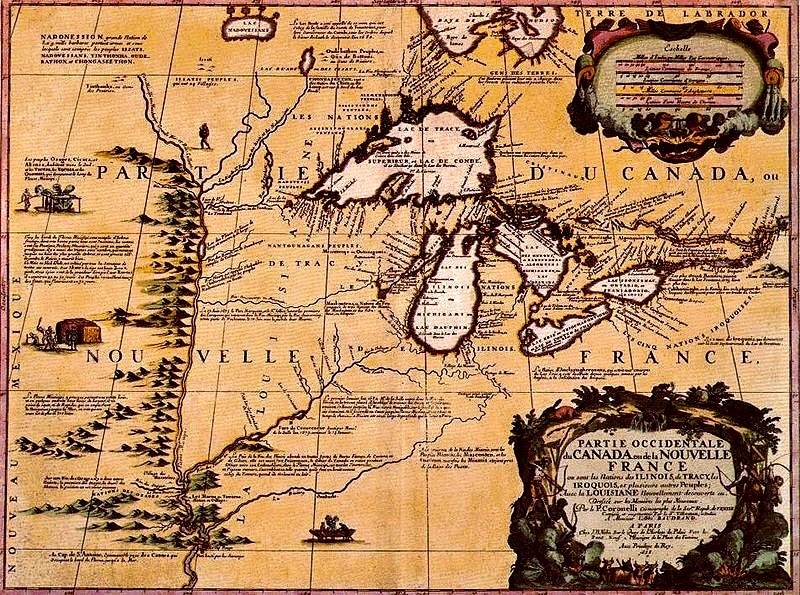 The Europeans were defeated that temporary delayed the advance of a European settlement. 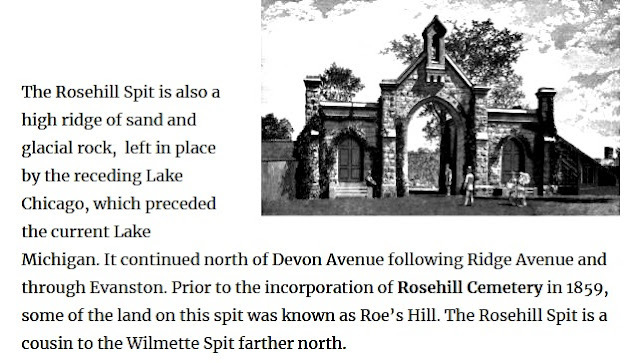 Read more about this tale from Paul Petraitis & other contributors of Forgotten Chicago-Facebook. 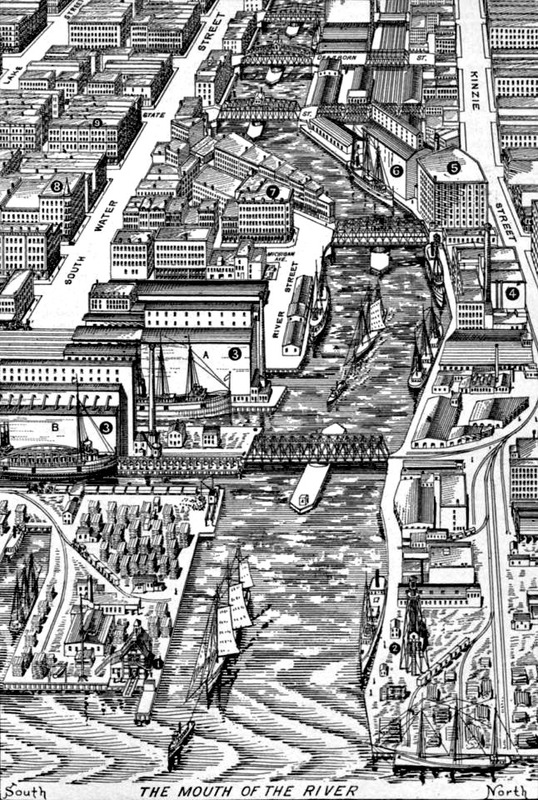 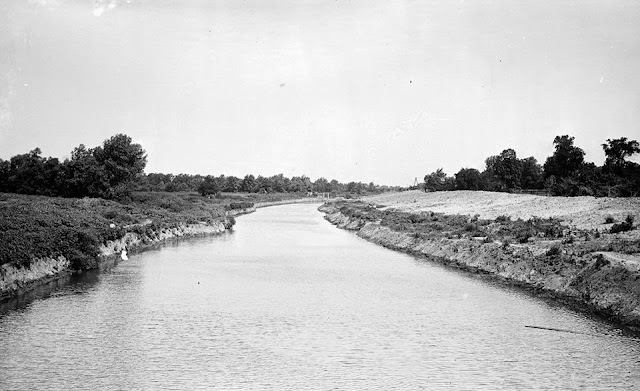 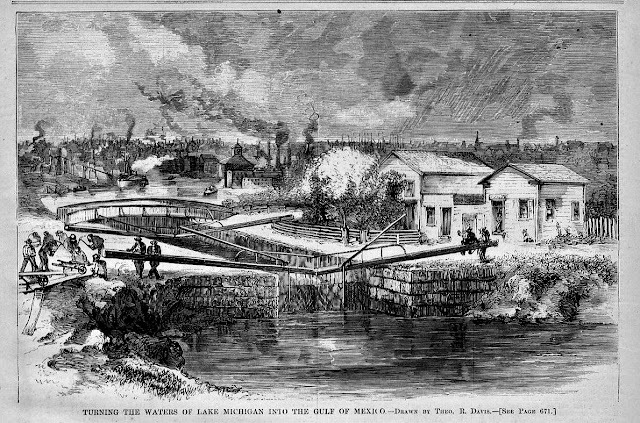 Most of the Lake View area was owned by corporate types who engineered the Illinois and Michigan Canal enterprise. The shaded area indicated land owned by the Illinois and Michigan Canal folks. 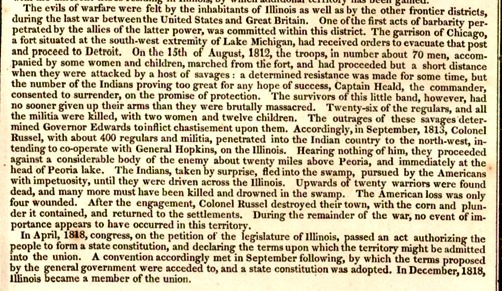 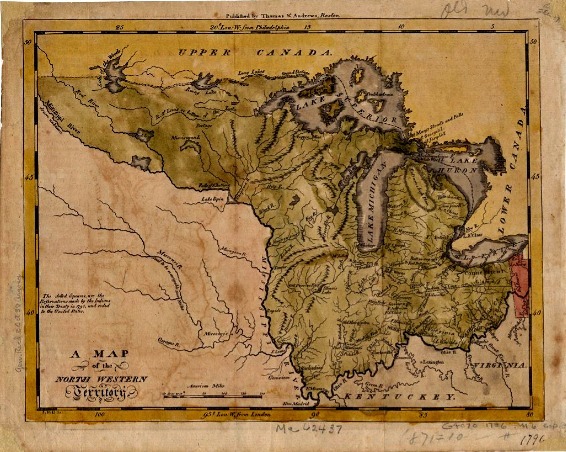 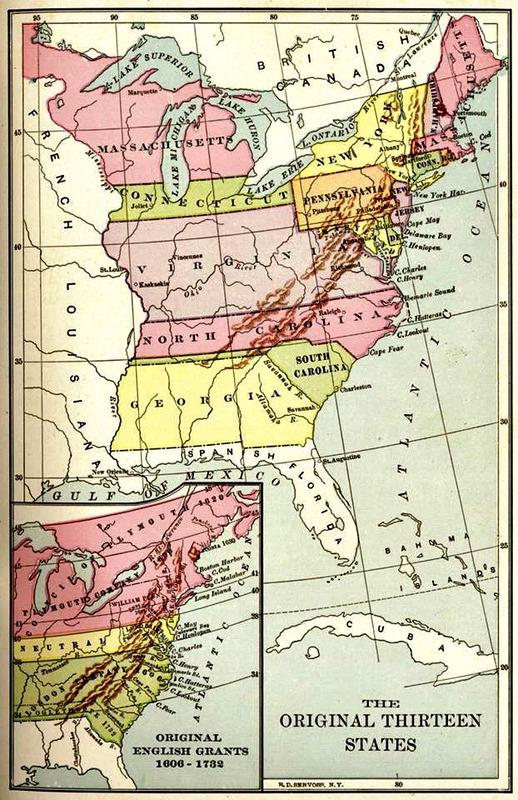 Treaty of Chicago of 1833 was the end of influence and the end of most hunting grounds for Native American tribes along the greater Great Lakes region. The United States drafted this treaty with the several villages of Potawatomi in Indiana, Illinois, Wisconsin, and Michigan. 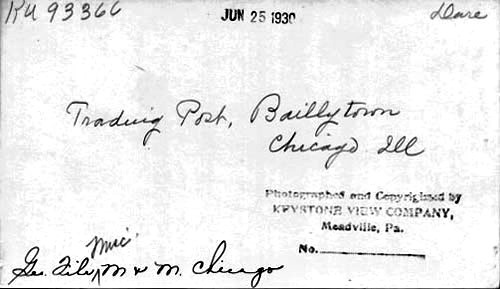 Two years later a charter was granted by State of Illinois for a town called Chicago. 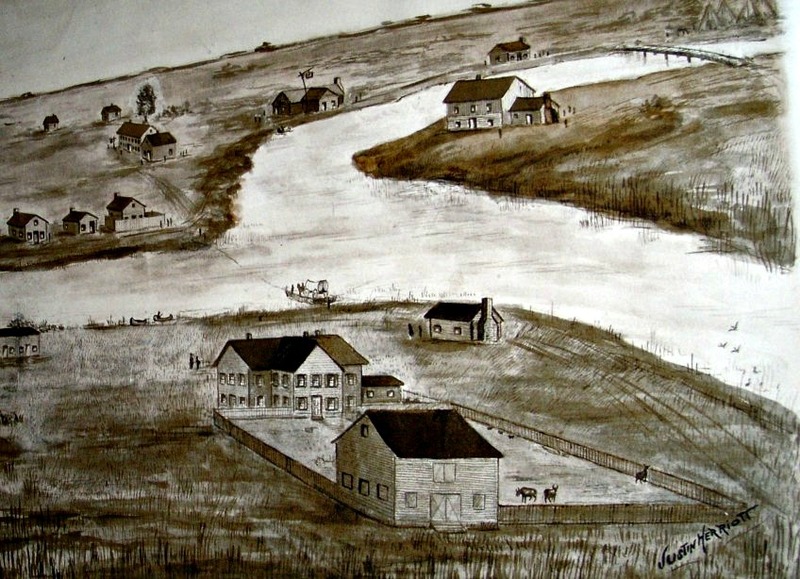 "The streets of the village in the fall soon became deluged with mud. 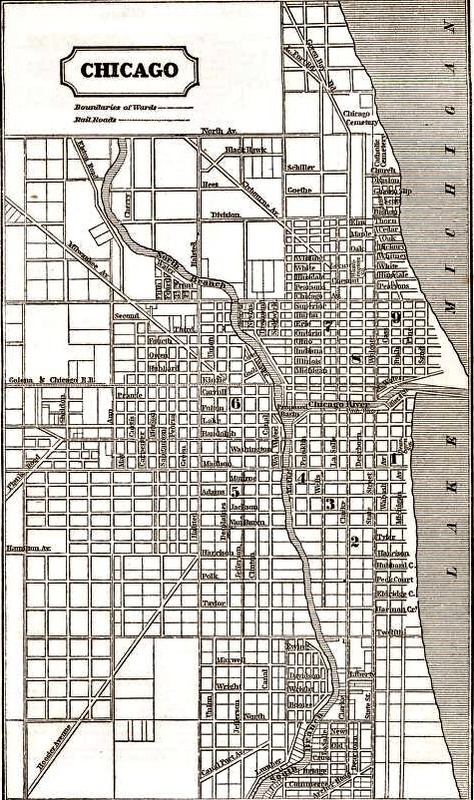 It lay in many places half a leg deep, up to the hubs of the carts and wagons, in the middle of the streets, and the only sidewalk we had was a single plank stretched from one building to another. 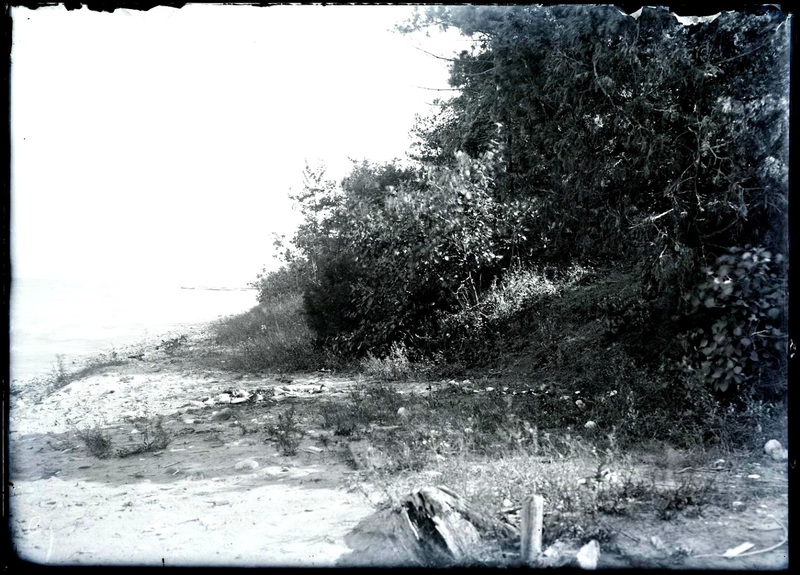 The smaller scholars I used to bring to school and take home on my back, not daring to trust them on the slippery plank. 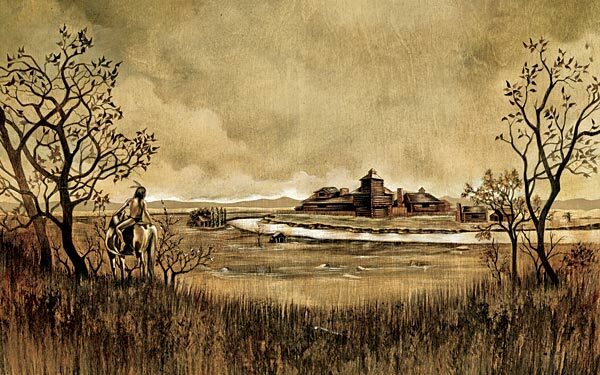 One day I made a misstep and went down into the thick mire with a little one in my arms. 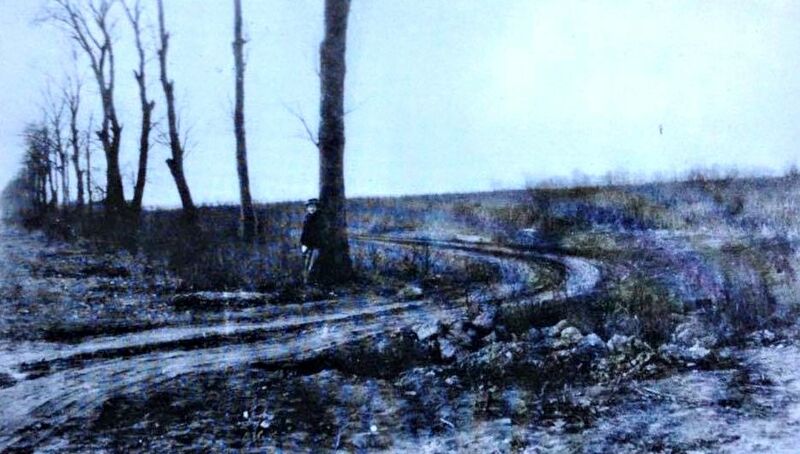 With difficulty I regained my foothold, with both overshoes sucked off by this thick, slimy mud, which I never recovered." 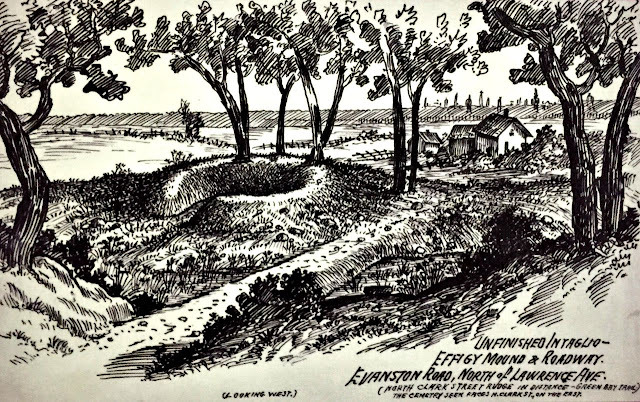 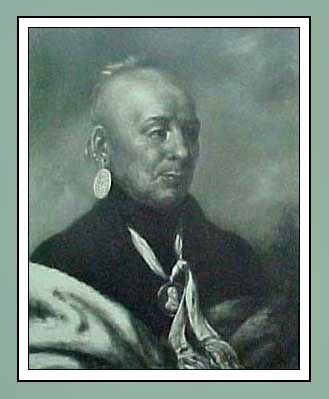 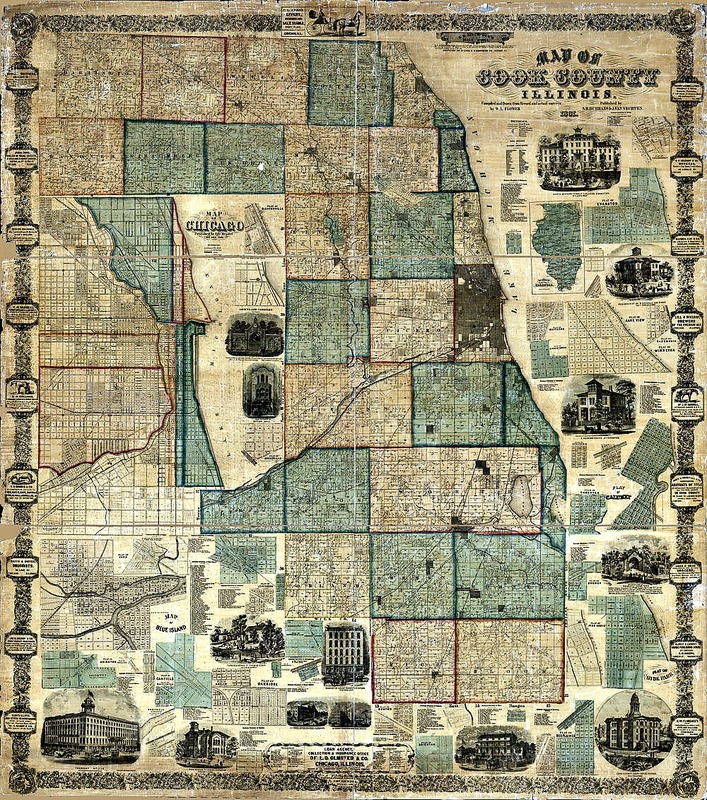 The last Native American settlement (reservation) was located in the Evanston Township area know as Ouilmette. 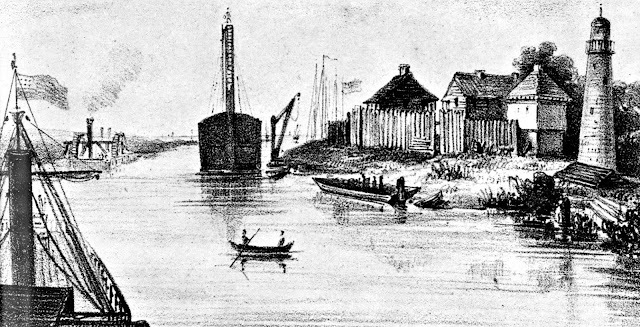 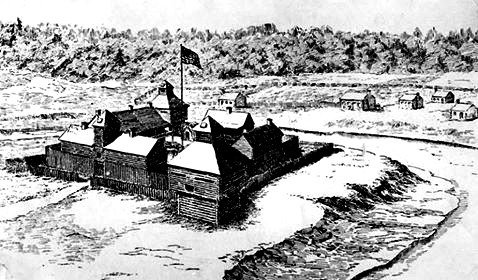 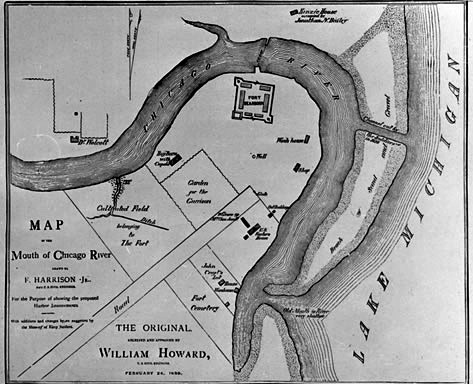 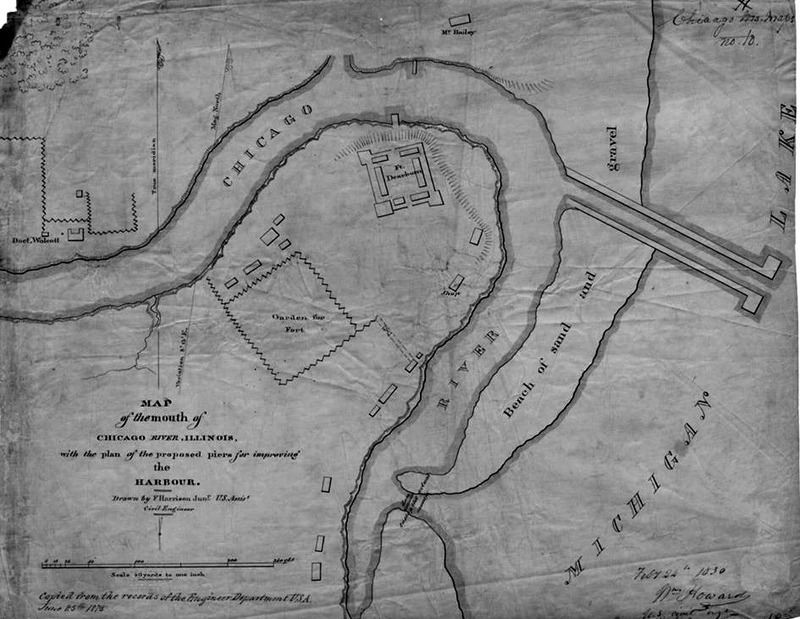 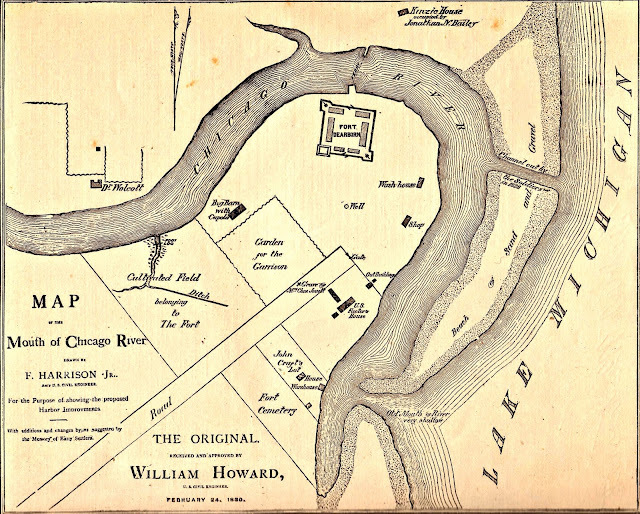 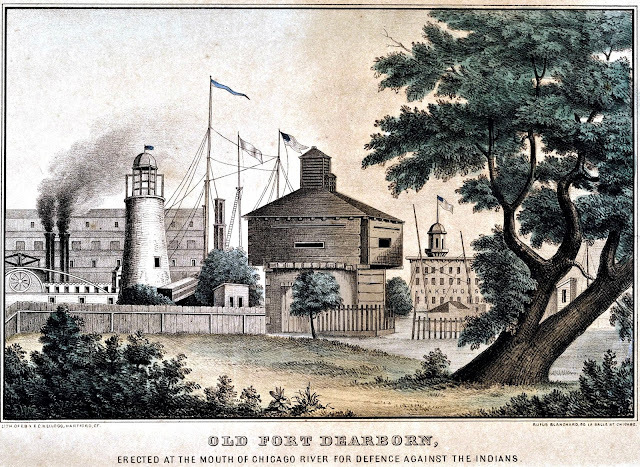 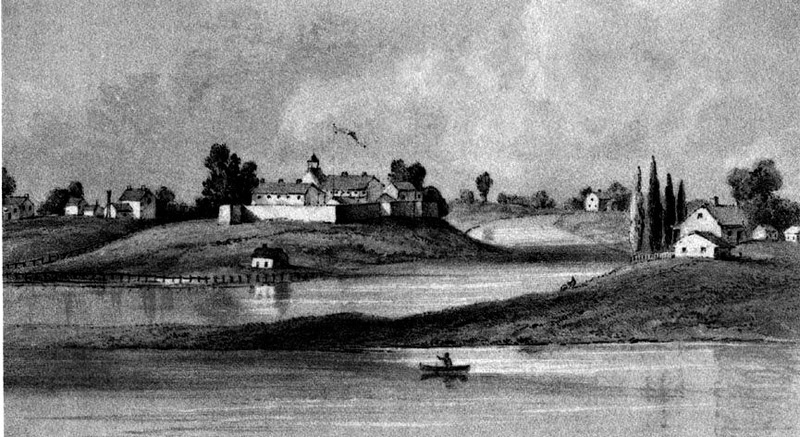 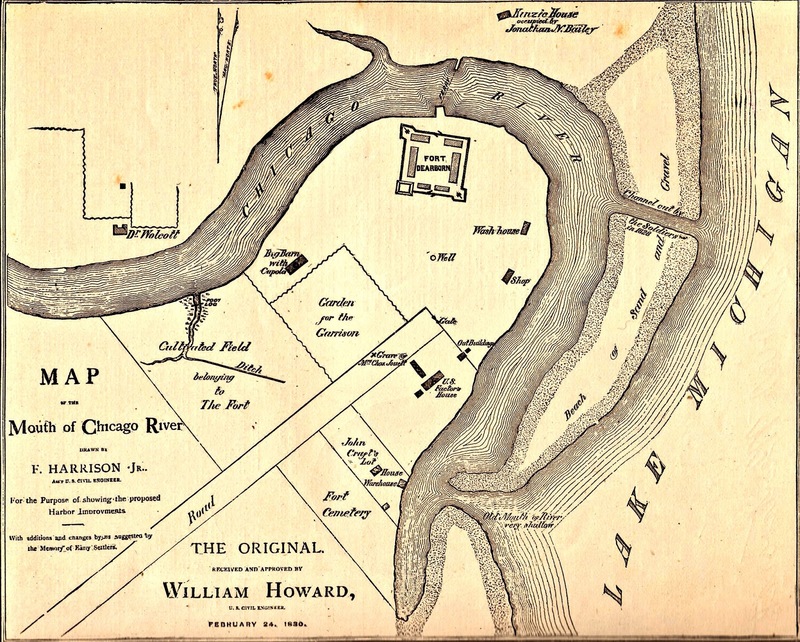 Between 1816-28 troops of Fort Dearborn dug up the sandbar to create a channel to the river's mouth. By 1837 most of the channel was completed that allowed growth of commerce and more local settlements to continue. 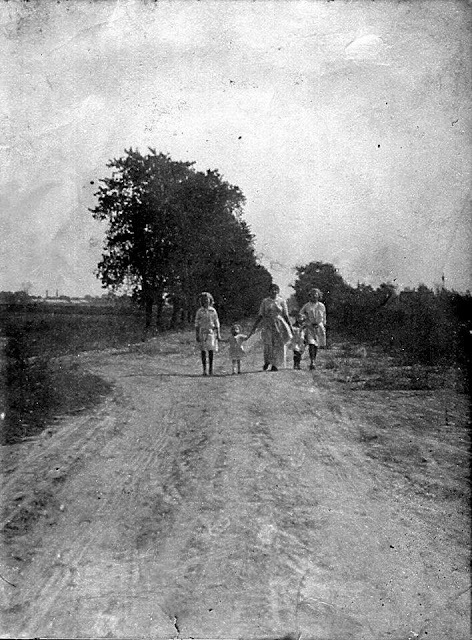 Green Bay Road (Clark Street) appeared to be the main road into what was to be Lake View Township. 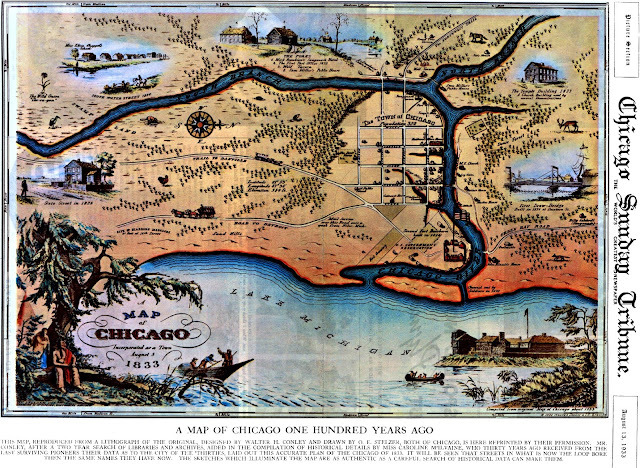 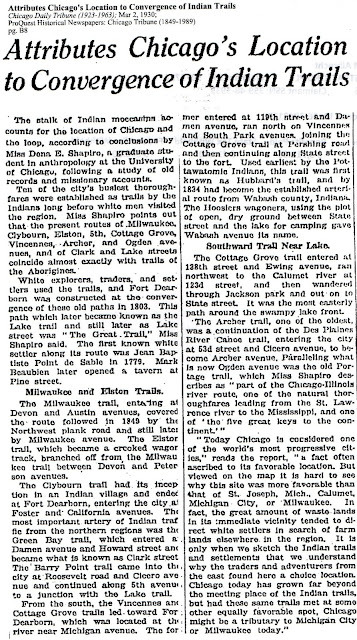 According to the publication called 'Chicago: its history and its builders, a century of marvelous growth' taverns were like road-stops if travels wanted to go from point A to point B. 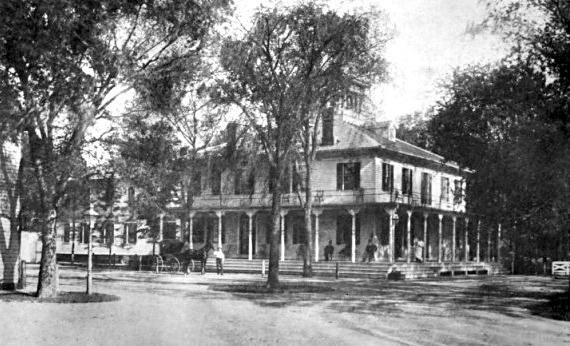 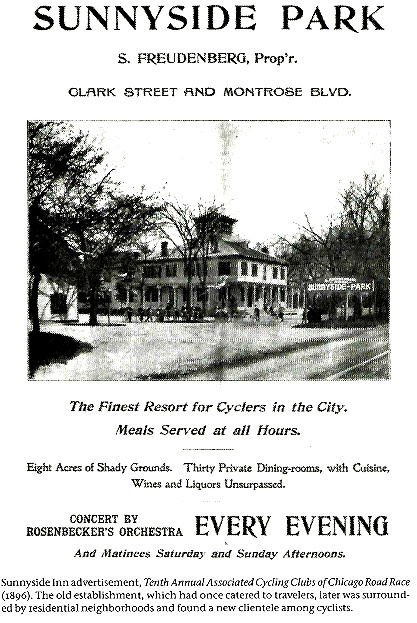 The first major road-stop tavern was along Green Bay Road a short distance near to the yet to be built Old Town Hall on Halsted Street. 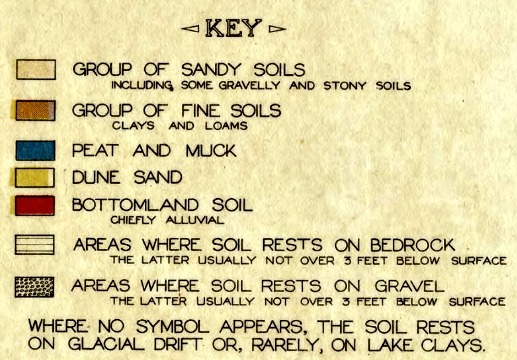 Lake View like most of the lands nearest to the lakefront were composed of 'sandy soil' that included 'some gravel and 'stony soils' per this 1927 above along with a Native American settlement map as 1804. 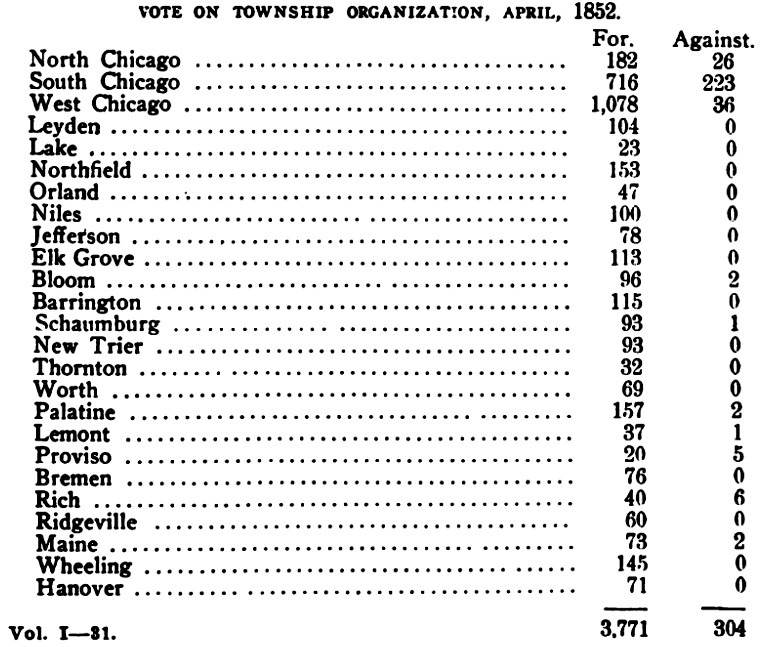 Lake View Township was not organized by 1852. 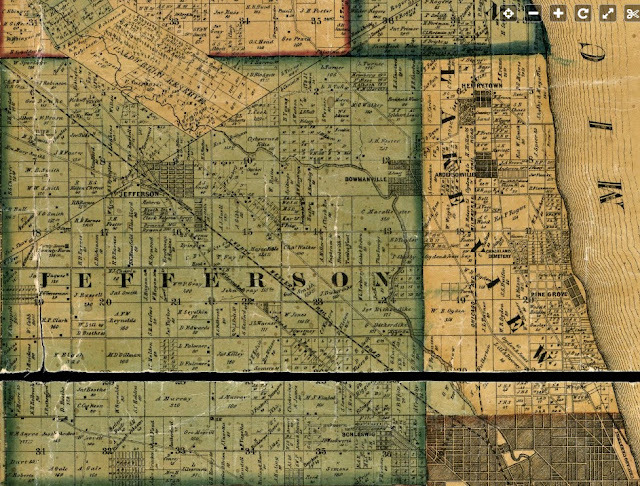 It's future residents lived in Ridgeville Township from 1850-1857. 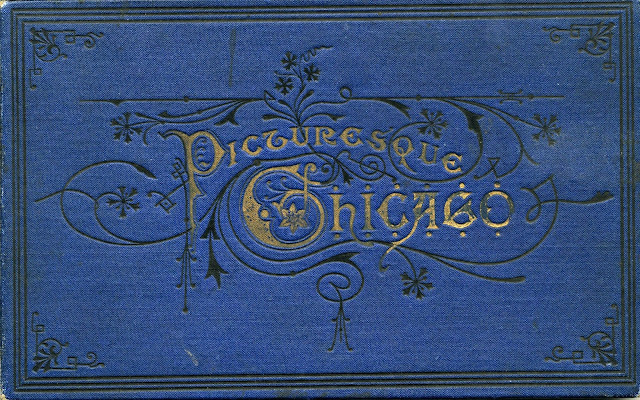 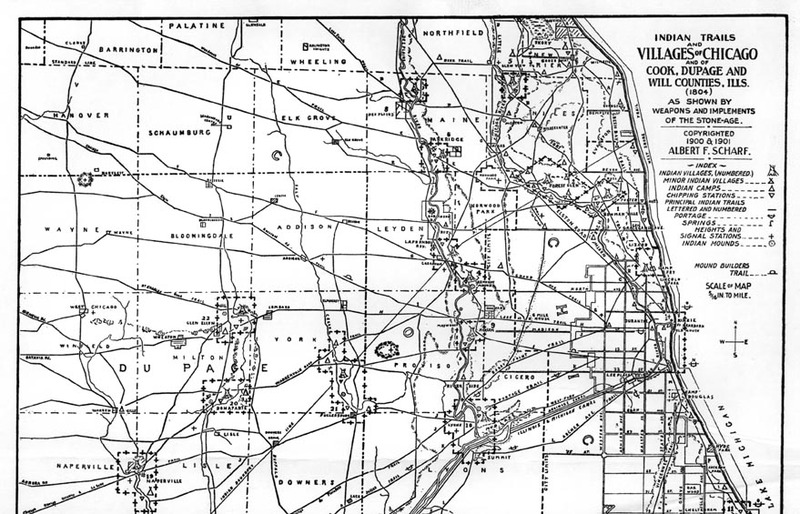 In 1857 Ridgeville was divided into Evanston, Lake View, and North Chicago townships by the State of Illinois. 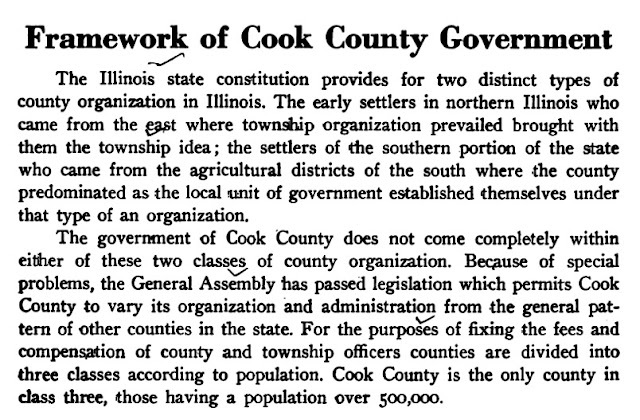 According to a research report from Chicago Magazine the emigrate groups to Cook County between 1870 to 1900 were either German, Irish, Swedish/Norwegian making up 1/2 of the population during this time period while the other half migrated from the East Coast. 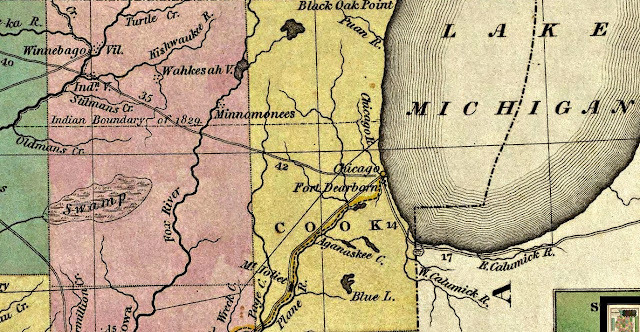 The first formal township north of Chicago was established by the State of Illinois in 1850 at the same time as the County of Cook was established. Before there was a Lake View Township and a Evanston Township there was the Township of Ridgeville. 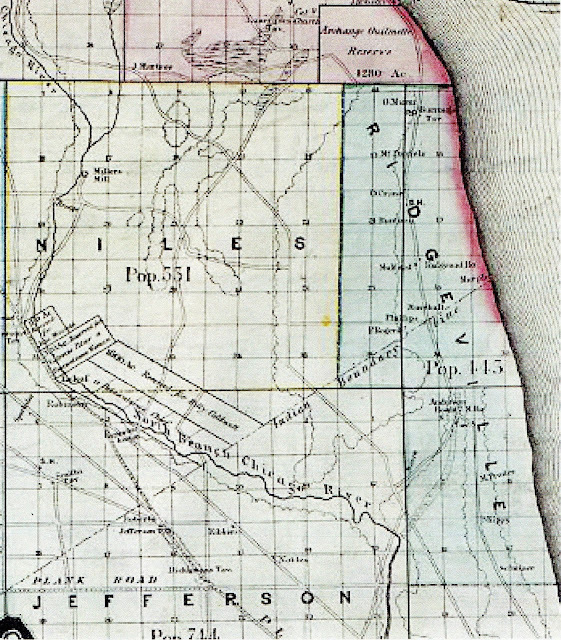 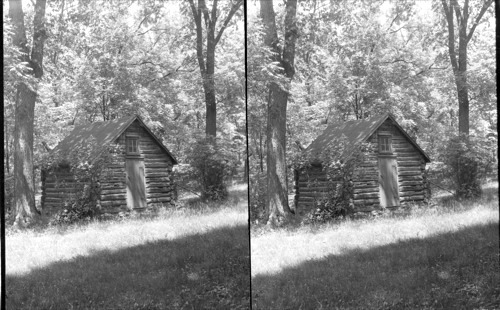 The State of Illinois split this township in two in 1857. 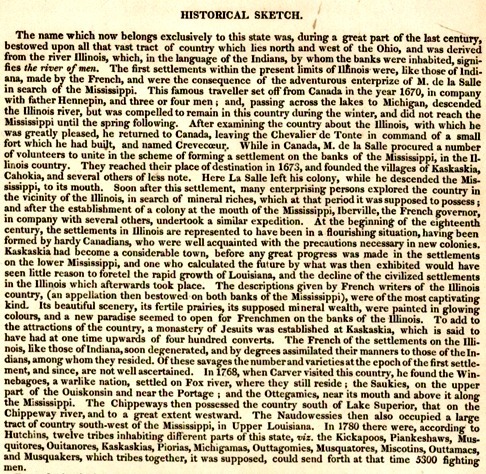 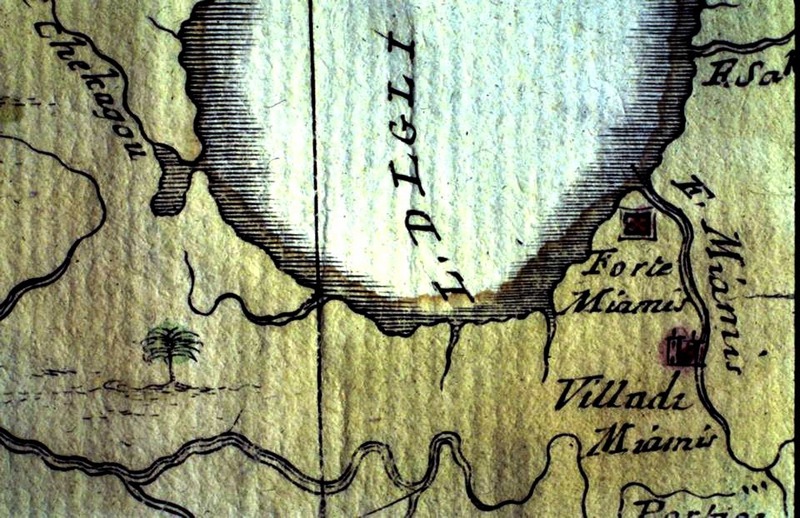 'The name Ridgeville first officially appeared in 1850. Ridgeville’s first election was held on April 2, 1850 with 93 votes being cast. 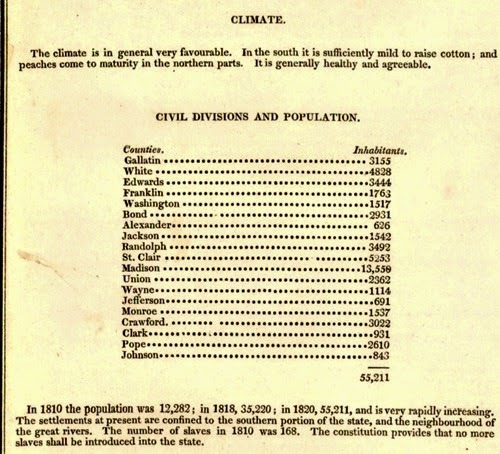 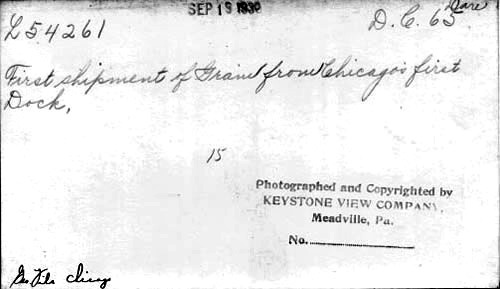 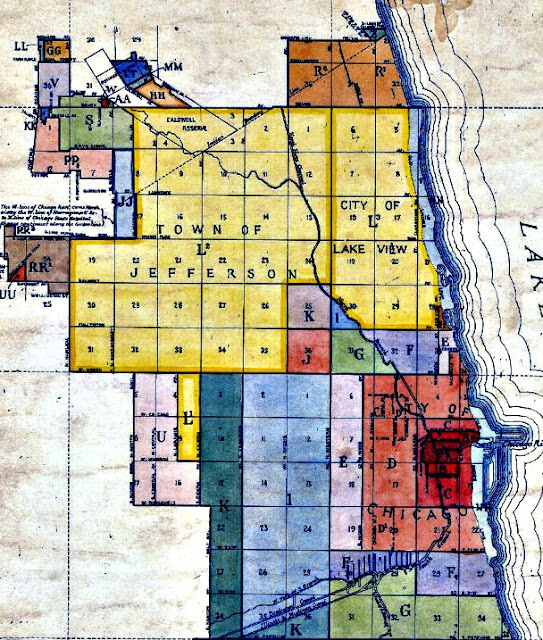 Ridgeville’s first town assessment took place in 1853, estimating the value of the property at $6,000.00. 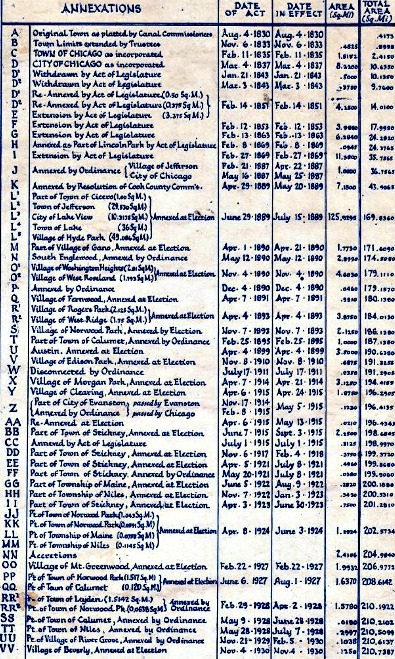 Among the names of Ridgeville’s first residents were: General Huntoon, Eli Gaffield, William Foster, Paul Pratt and his wife and O.A. 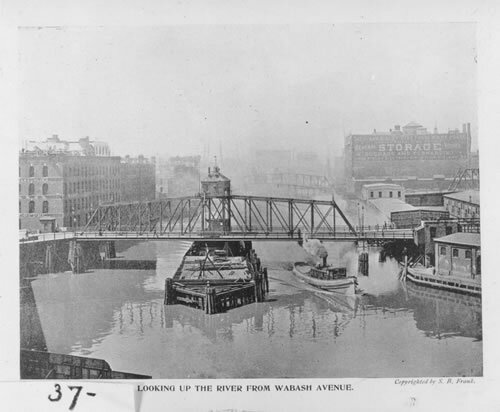 Crain. The territory (zoom) included the most of Evanston Township (City of), Rogers Park, and Lake View Township and North Chicago Township north of North Avenue. The township last no more than seven years until it was subdivided into two townships by 1857. 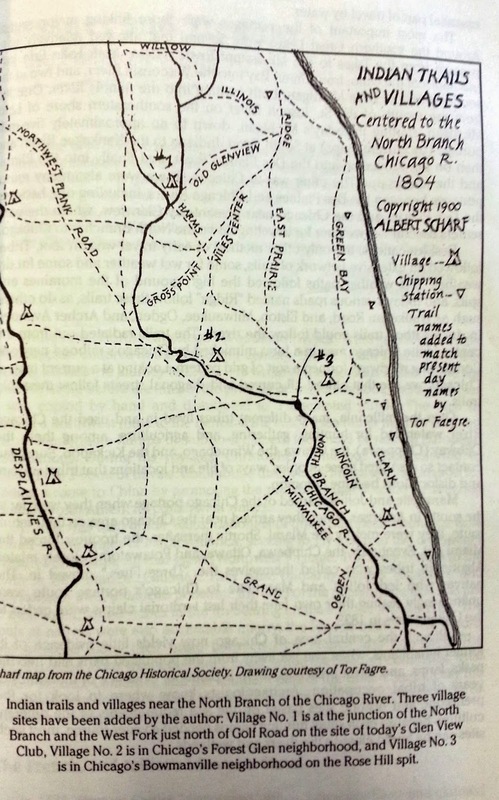 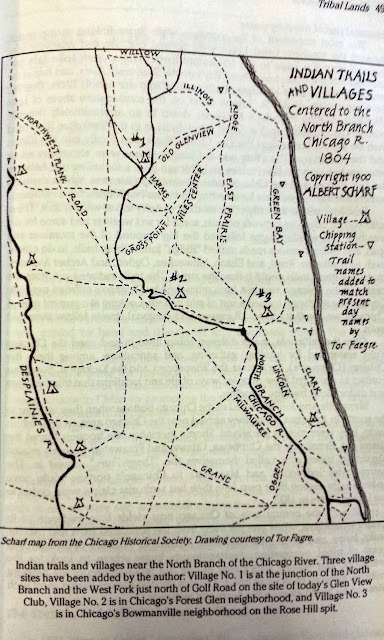 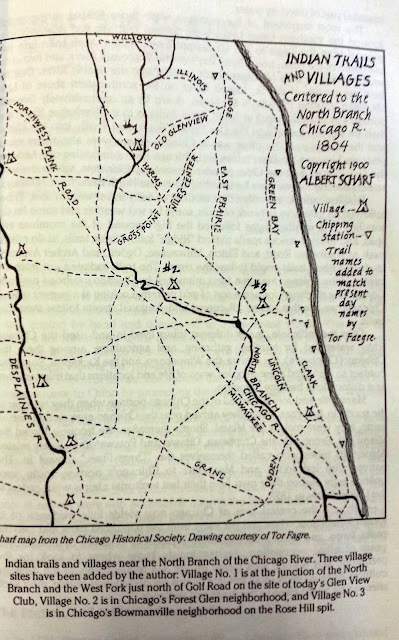 This maps highlights taverns that would serve as stops for refreshments (for both horse and owner) and lodging such as Schulzer, Sliipy, M. Trader, and Anderson Hoods - also called The Seven Mile Tavern due to its distance for central Chicago. 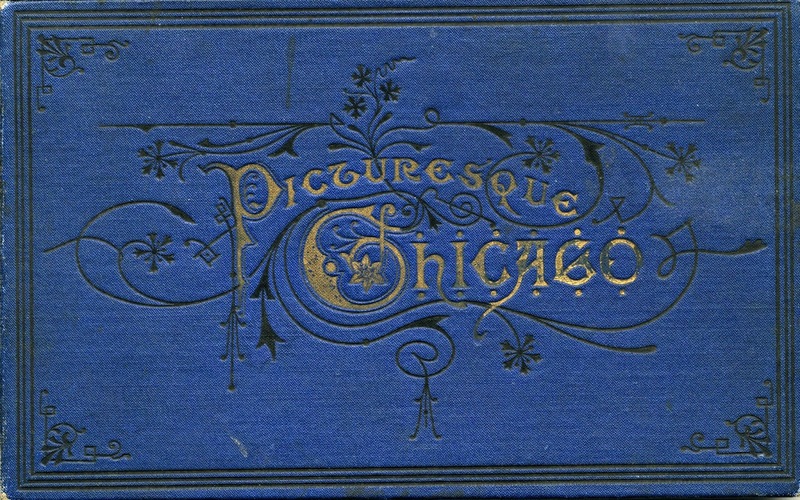 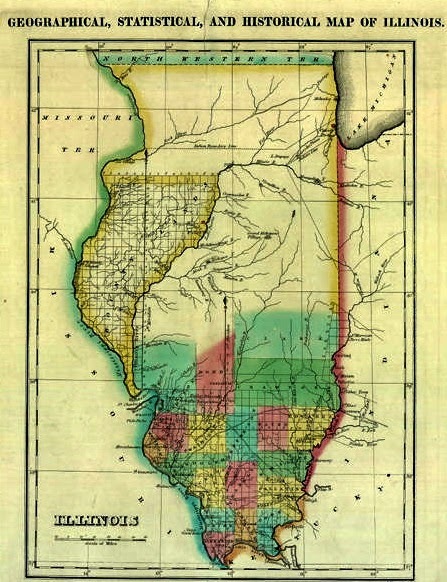 By 1860 the residents of the Germanic states and principalities of Europe was the largest foreign group of immigrants to Illinois (click on the year 1860). “United States census records show Illinois to have a population of 1.7 million. 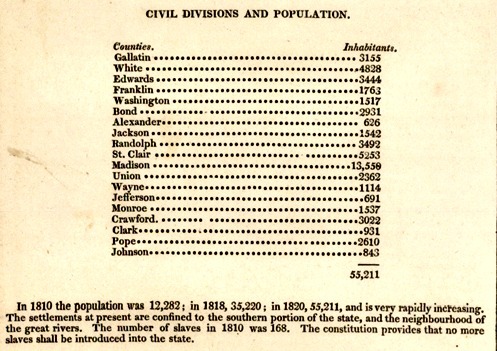 A total of 7,628 are African Americans. 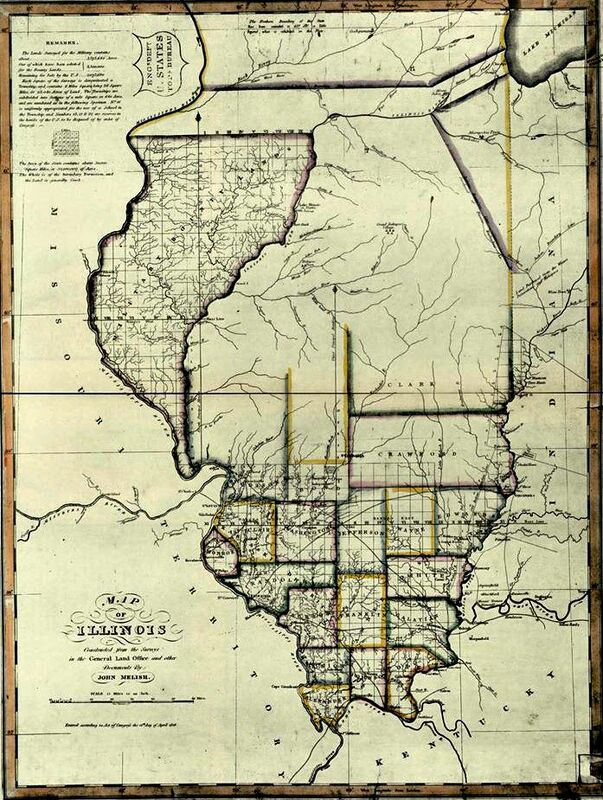 About 707,000 Illinoisans were native to the state. The largest number of non-natives came from: Ohio (131,000); German states of Europe (130,000); New York (121,000); Ireland (87,000); Pennsylvania (83,000); Indiana (62,000); Kentucky (60,000); England (41,000); Tennessee (39,000); Virginia (32,000)”. 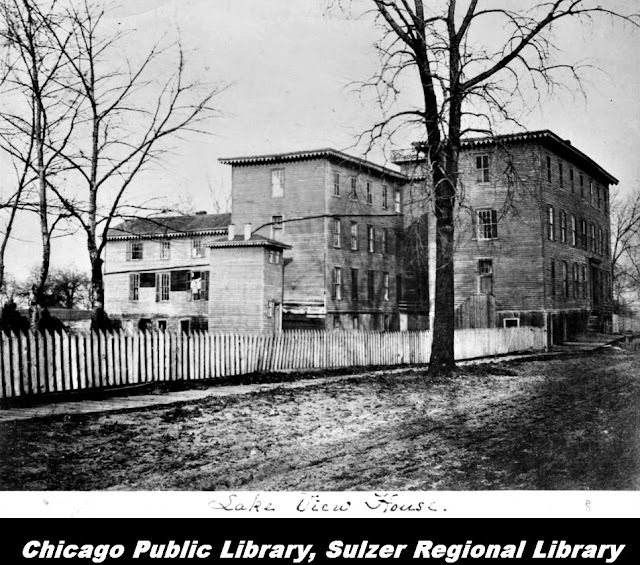 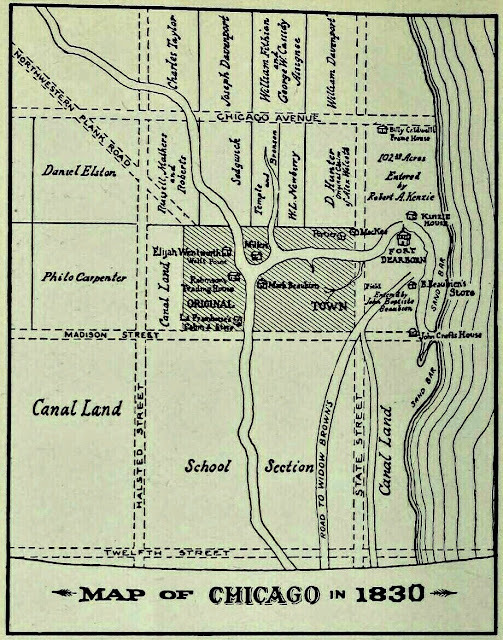 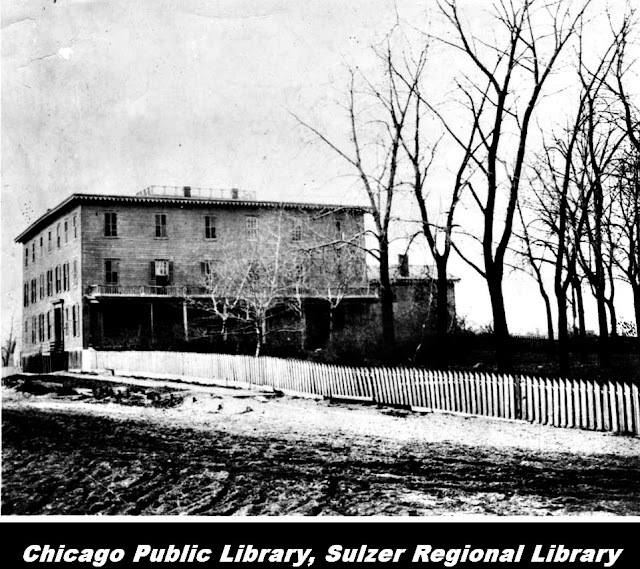 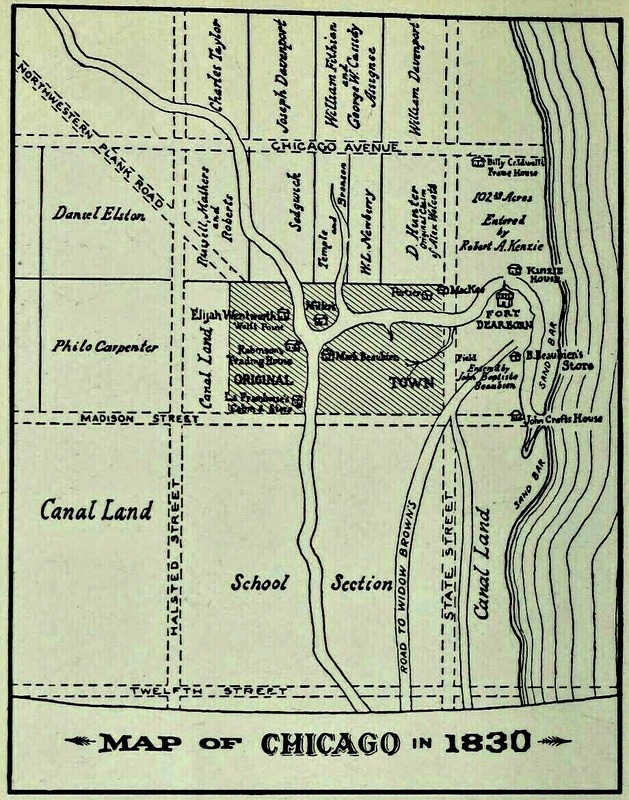 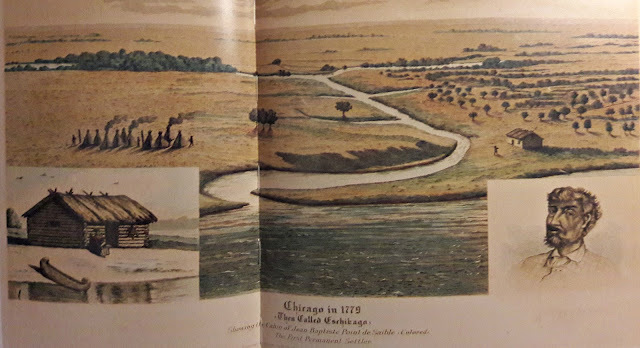 When Conrad Sulzer’s family settled in the area later to be known as the Township of Lake View, north of Chicago, these ten square miles of the township along the lakefront were of empty prairie, shrubs, and lakefront marsh. 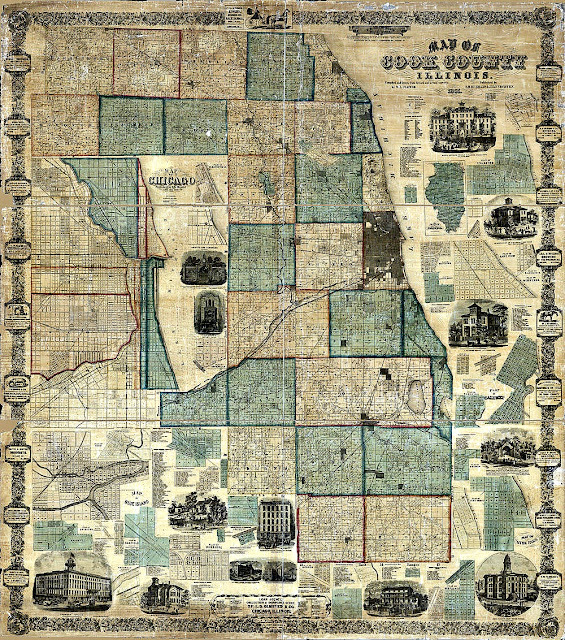 The University of Chicago map illustration above indicated established subdivisions between 1844-1862. 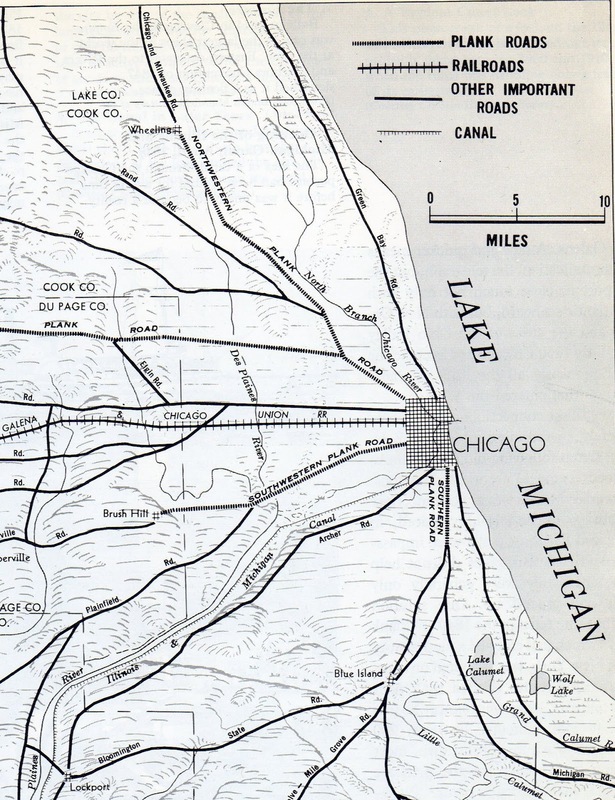 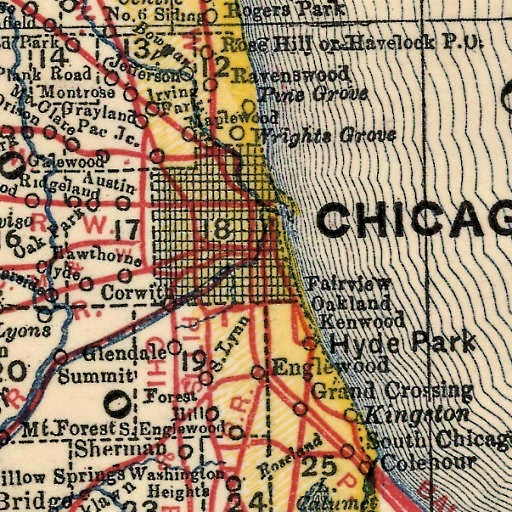 It is to be noted that this map was drafted in 1933 (so no Lincoln Park at the time), Sheridan Road proposed extension, and the rail lines were added to help the viewer with geography. 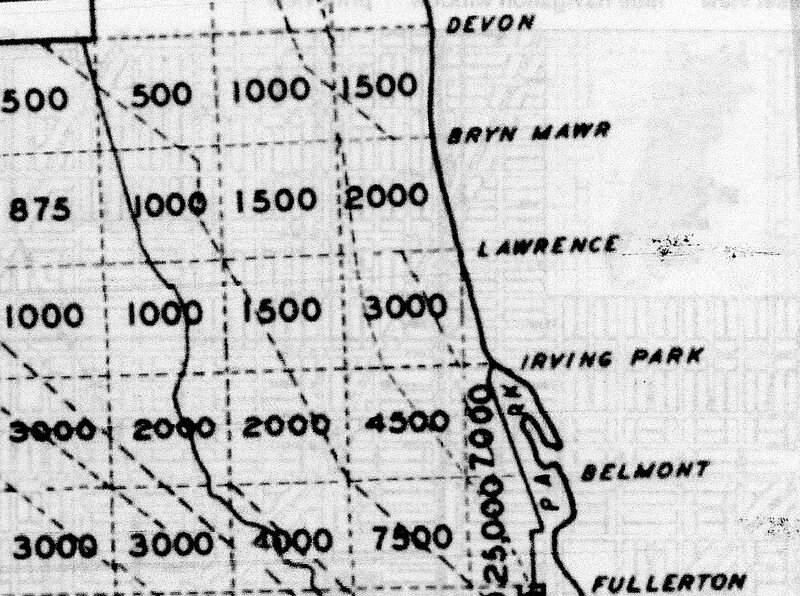 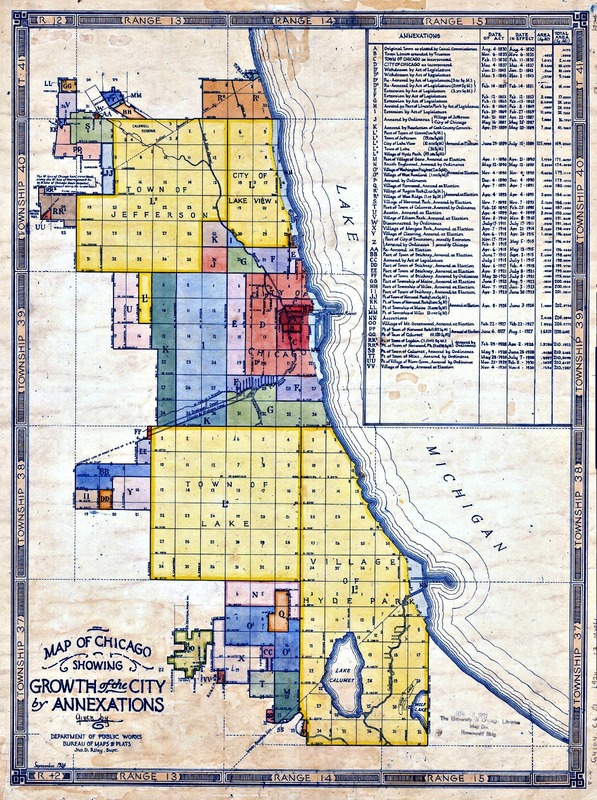 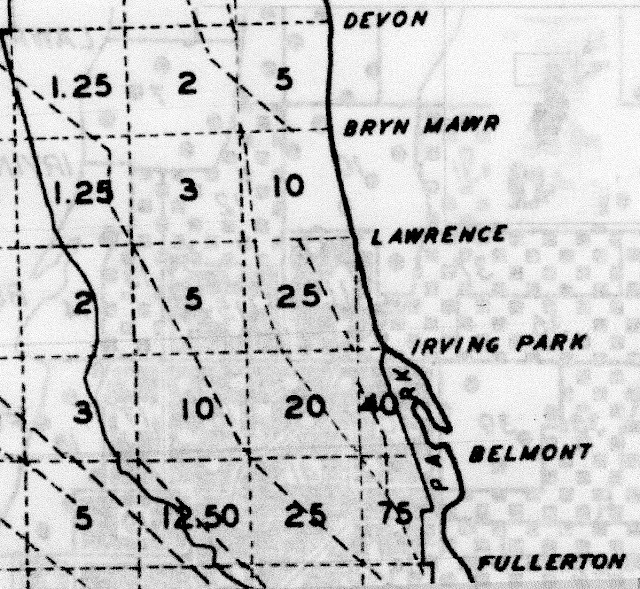 Land values assessment per square mile as of 1873-79 years after the incorporation of Lake View Township and 16 years before the annexation to Chicago. 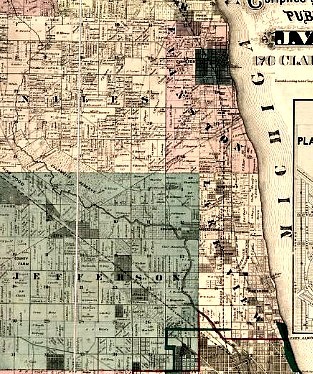 1879 Encyclopedia.chicagohistory.org map (zoomed) show streets and communities with Lake View Township such as Pine Grove, Andersonville, Ravenswood, Bowmanville, and a community called Henry Town. 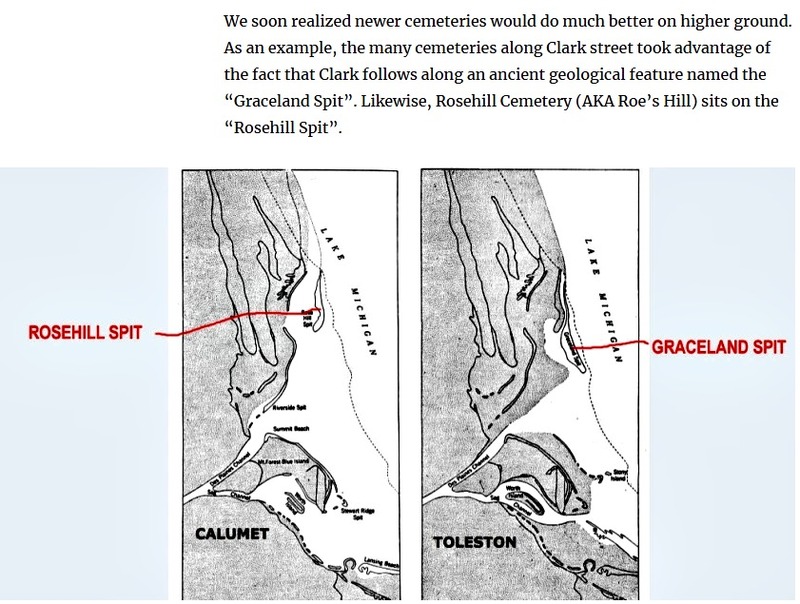 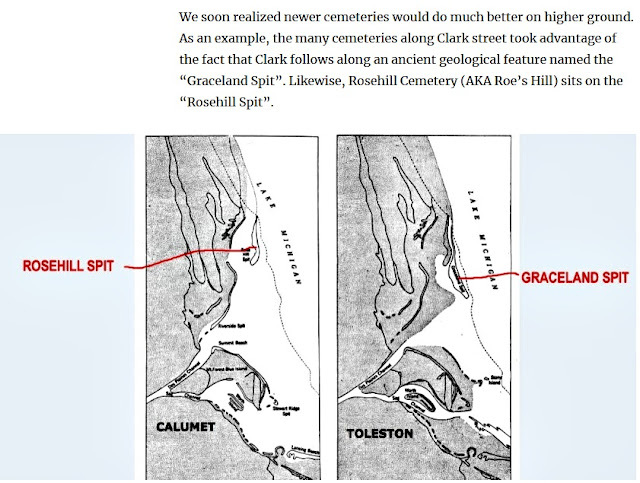 Also shown are the cemeteries of Rosehill & Graceland. 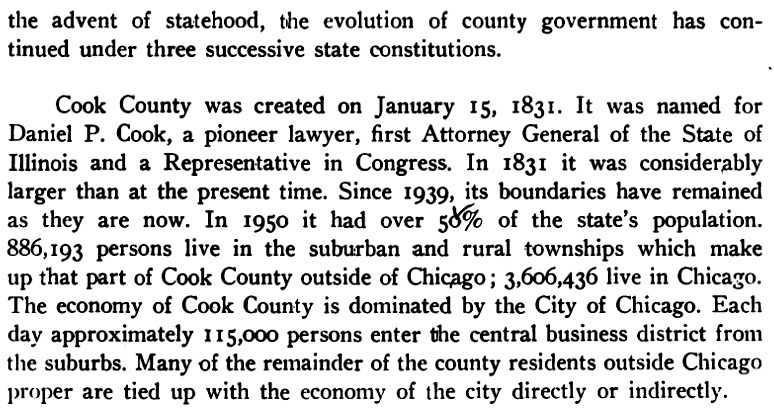 Also, during this time period community of Rogers Park had earned its distinction as a township seceding from Evanston Township. The Lake View House owned by Elisha Huntley and co-managed James Rees and then co-owned to be used not only as a resort but a meeting place to discuss real estate, particularly Mr. Huntley's holdings in the old community of Pine Grove beginning in 1853 until 1890-ish. 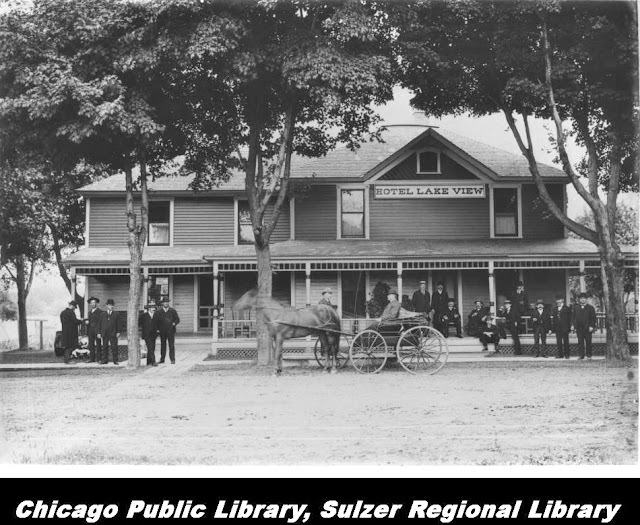 I have a open petition to the 46th Chicago ward office to create a landmark status of the current garden space that will memorialize this hotel of old Lake View. Join the conversation of Facebook on this photo! 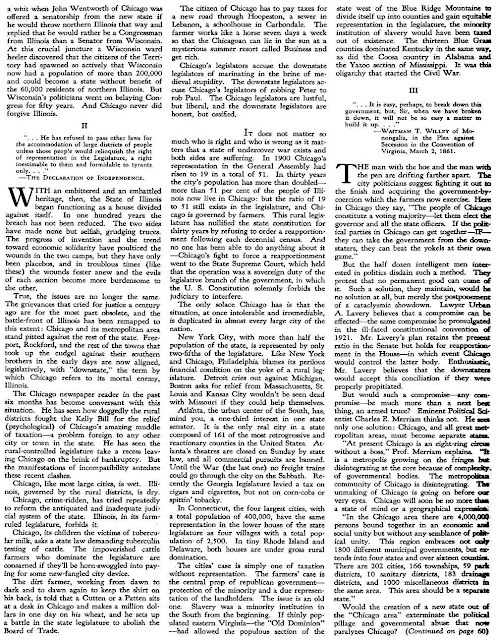 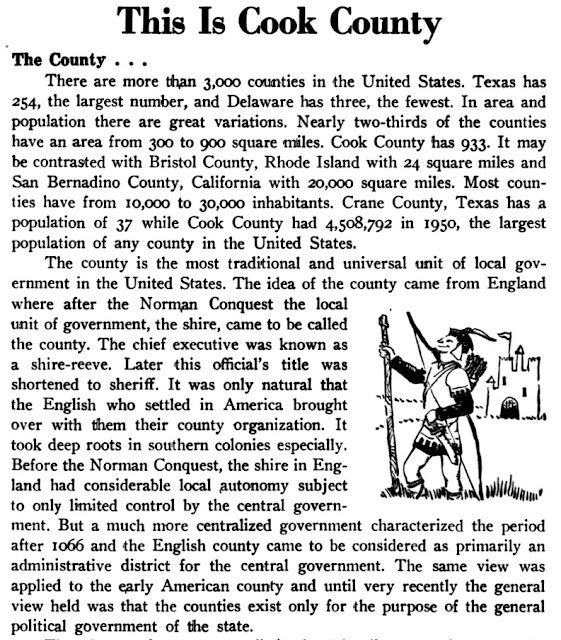 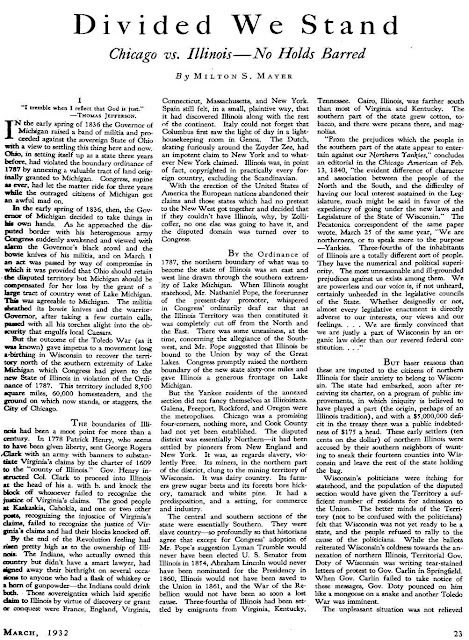 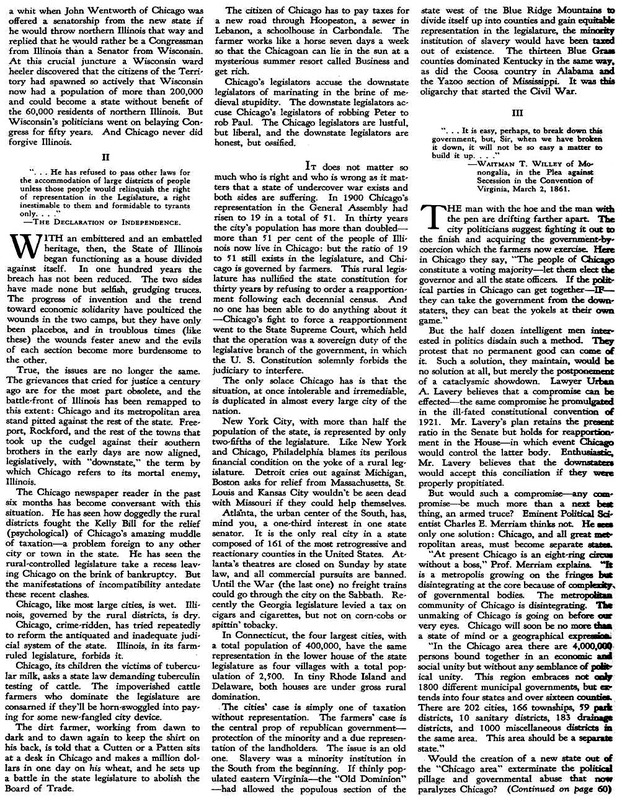 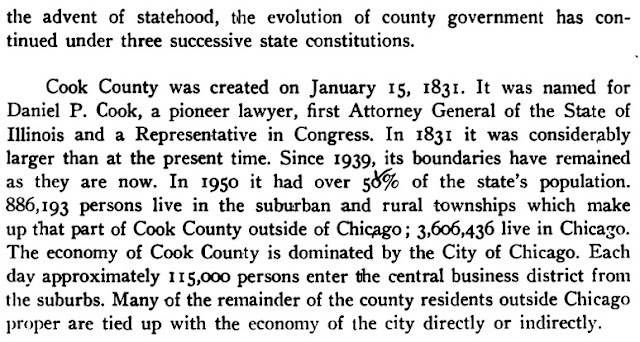 This is article from 'The Chicagoan' tells a detail evolutionary accounting of the State of Illinois from its beginning til the publication of the article in 1932. 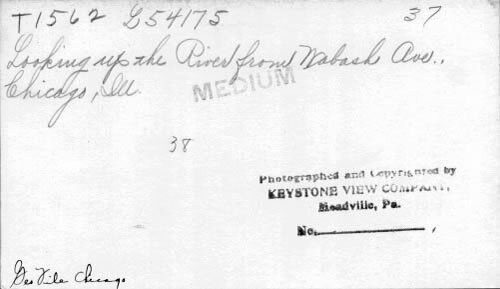 Need another look at it! 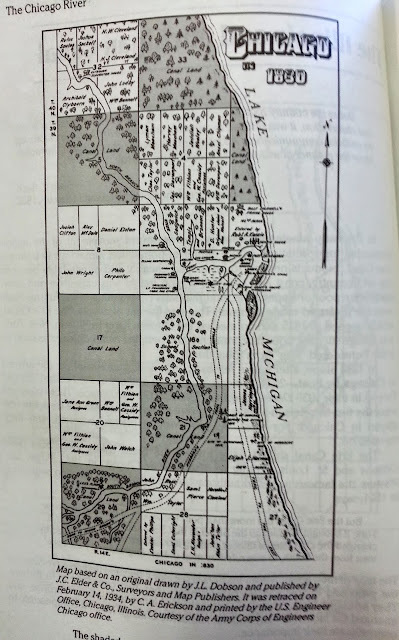 Lake View Township News followed by City of Lake View. 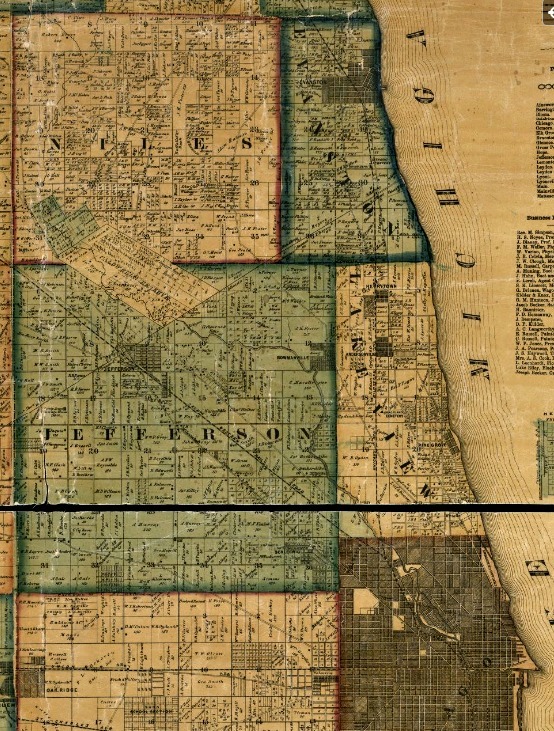 I have over 80 topically posts on the subject of our neighborhood. 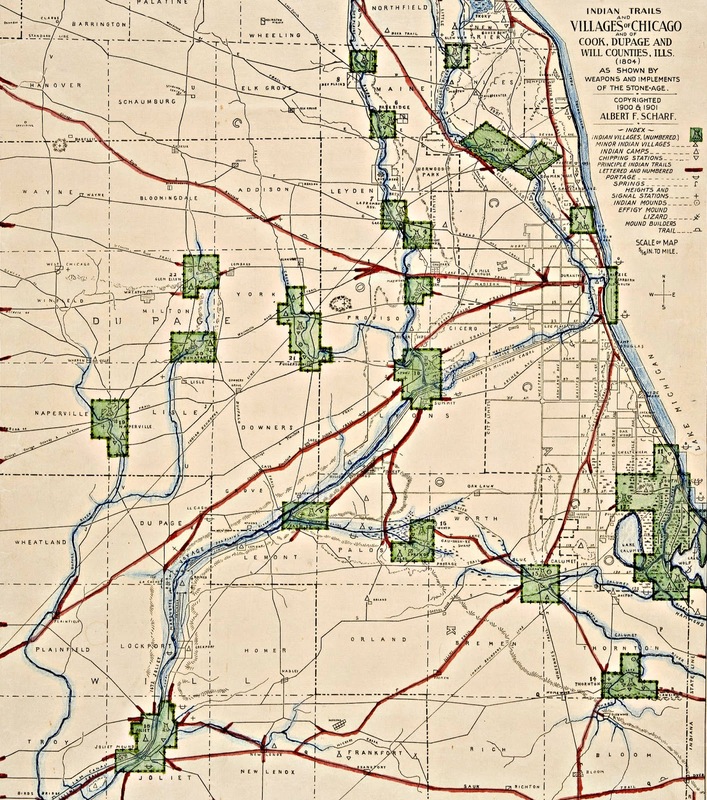 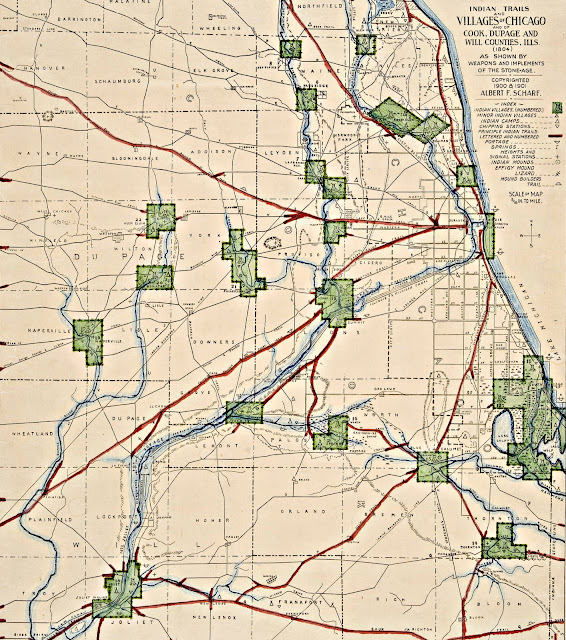 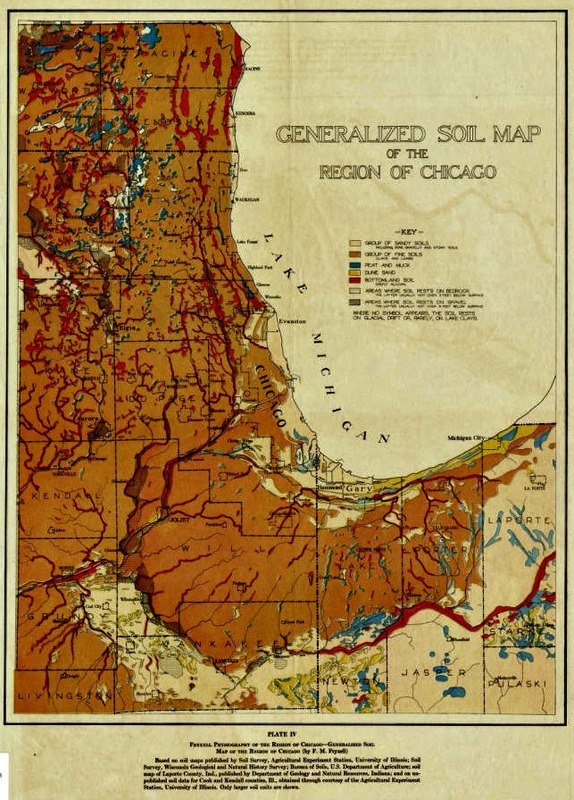 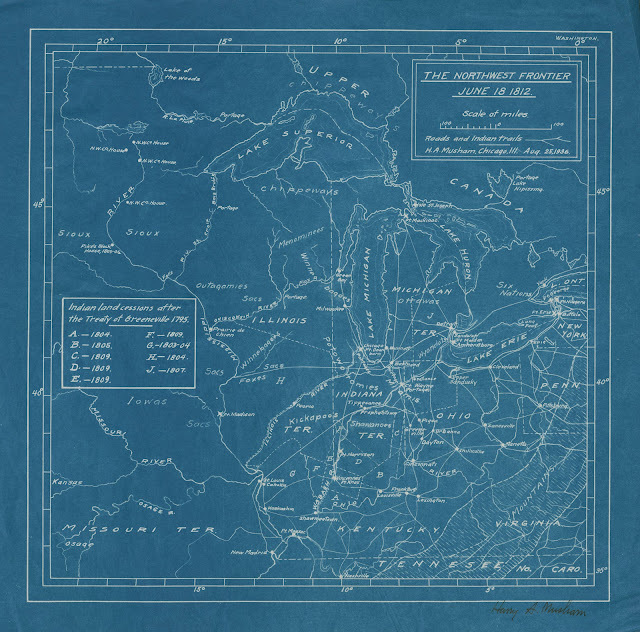 Those 1930-33 Social Scientist Maps are from the University of Chicago Collection.